You may have heard that there’s a war on. It’s been mentioned once or twice in the news. It doesn’t particularly affect me, of course, as I have little interest or say in the machinations of the capsuleer empires. I’m not the one paying the price of this war in blood and treasure. That being said, it’s fascinating to watch this war develop as an outsider. 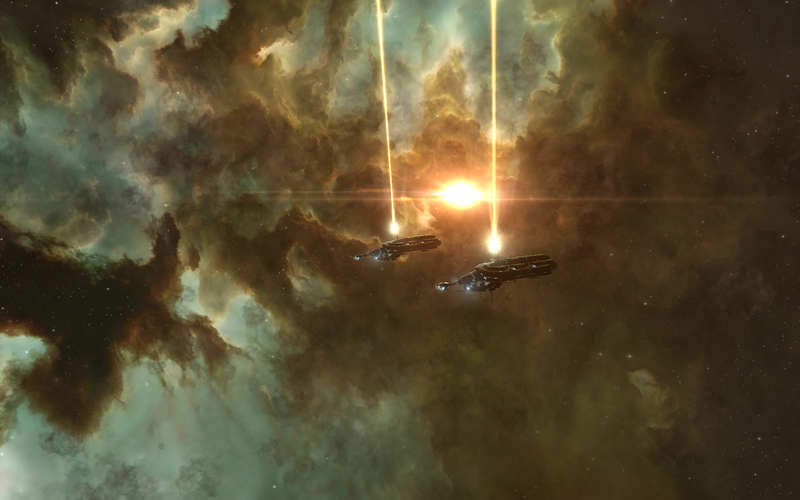 I don’t pretend to understand all of the underlying dynamics between the various sides in this feud, but to see essentially all of the capsuleer-led entities take one side or the other is a fascinating development, and one not seen in quite some time in New Eden. While I hope that few innocents get caught in the cross-fire, I can’t help but read each new report with an excited zeal to see what the next twist in this story is, even if I take care to keep myself a step or two removed from the conflict. Of course, while I keep myself on the outskirts of the current war, I can’t help but dive headfirst into the wars of the past. I had mentioned in my past few entries that I had holed up in Anoikis to search for a site hidden deep in Anoikis. Fittingly, given current conditions, the site I was searching for is the remains of another battleground. 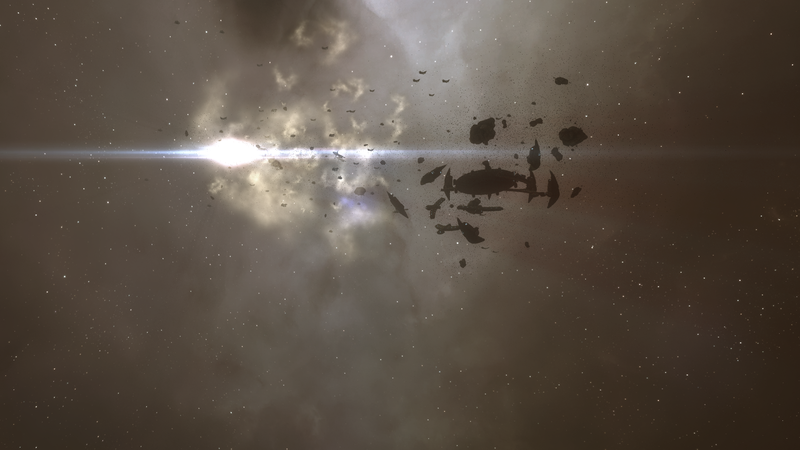 Not one from the current war, of course, but the remains of a war that, in its own way, shaped the current condition of the Cluster as much as this World War Bee has the potential to shape null sec. I speak of the war between the Sansha and Sleepers that resulted in Sansha Kuvakei apparently attaining Sleeper – or possibly even Talocan – technology, allowing him to project his cybernetic reavers across the Cluster in pursuit of his goals. 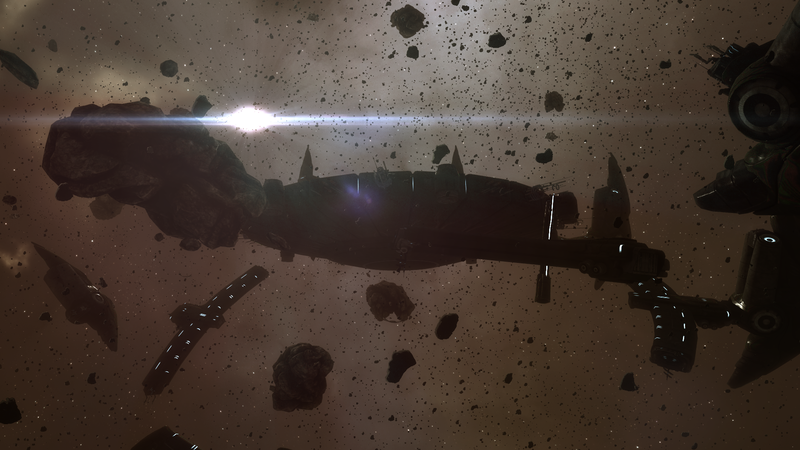 The remains of the Revenant-class supercarrier. 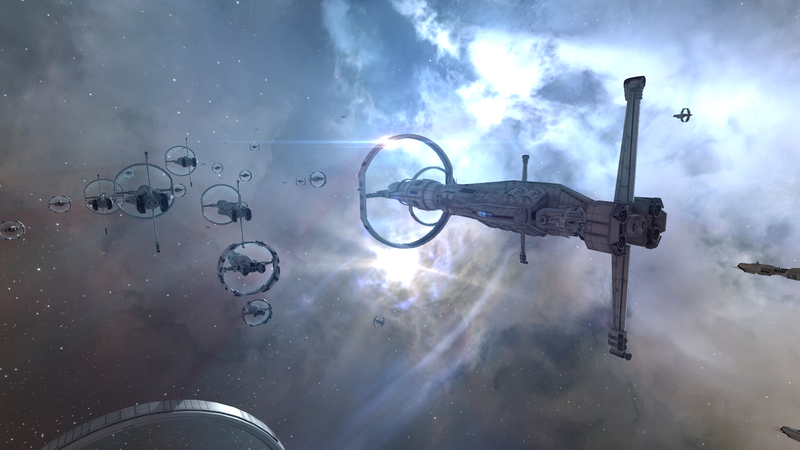 Exactly how Sansha found these other Anoikis systems – systems that hadn’t yet joined the general wormhole network – is unknown. Exactly how Sansha learned of these systems in the first place is unknown. Exactly when these battles occurred is, as you might have guessed by now, unknown, but probably occurred shortly after Anoikis opened to the general space-faring public. In any event, we know now that Sansha managed to stumble upon the ability to create his own wormholes to any destination he so desired. An ability he used to devastating effect, especially in the early days of his incursion. But it seems that he did not earn this ability easily. Indeed, remains of his struggles against the Sleeper protectors of these relics can be found scattered throughout the depths of Anoikis. 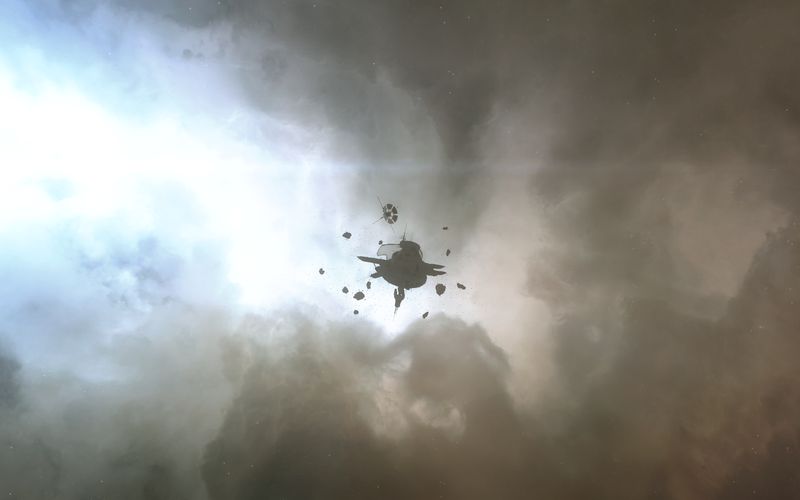 It was one of these battlegrounds that I set off to Anoikis to find. 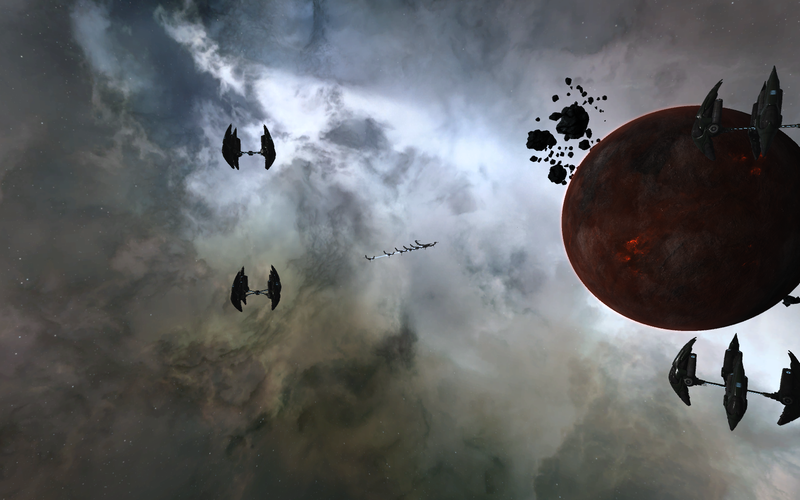 These sites are most likely to be found in shattered Anoikis systems colonized by the Sansha (evidenced by the appearance of Sansha, rather than Sleeper, guardians at the system’s epicenter), but can be found throughout Anoikis; a sign of just how widespread the fights were to gain control of this technology. I fairly quickly found such a Sansha colonized system, and waited for my scanners to pick up signs that I had found what I was looking for. Some of the debris that can be found throughout the battleground. After nearly 3 months of searching, it wasn’t even I who ended up finding the site, but rather a pilot with whom I was placed in contact with through the Arataka Research Consortium. I received notice of the site at a slightly awkward time, after I had shut down my ship’s systems for the night and had been preparing to rest in my ship in low power mode, but science waits for no man, even a capsuleer demigod. I quickly booted up my ship’s systems and raced towards the scene, joining a few fellow explorers from ARC while I was at it. Even if my months spent in Anoikis were for naught and I wasn’t the one who found the site, I wasn’t about to let this opportunity pass me by. 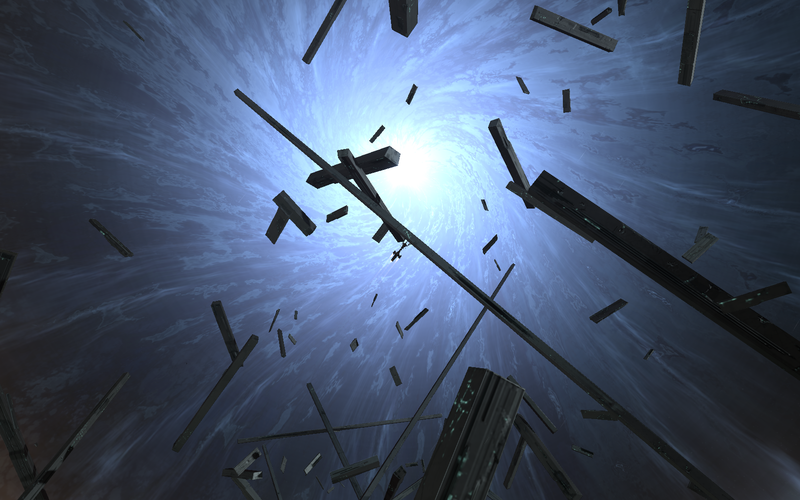 The entrance wormhole to the system with the battleground required me to travel through k-space. 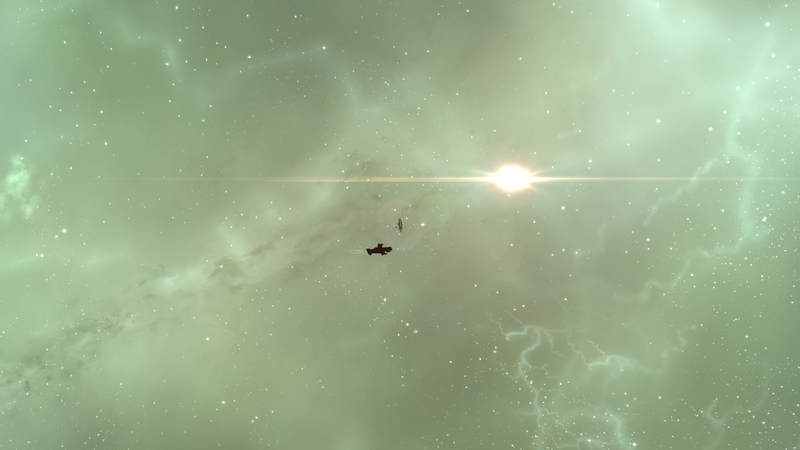 Although I had lived in k-space for the vast majority of my time as a capsuleer, it was surprising how eerie it felt to be back amongst the thriving masses of New Eden after such a relatively short absence. It was a feeling I quickly overcame in the coming weeks, but it was notable at the time. Fires still rage in the Revenant’s interior. 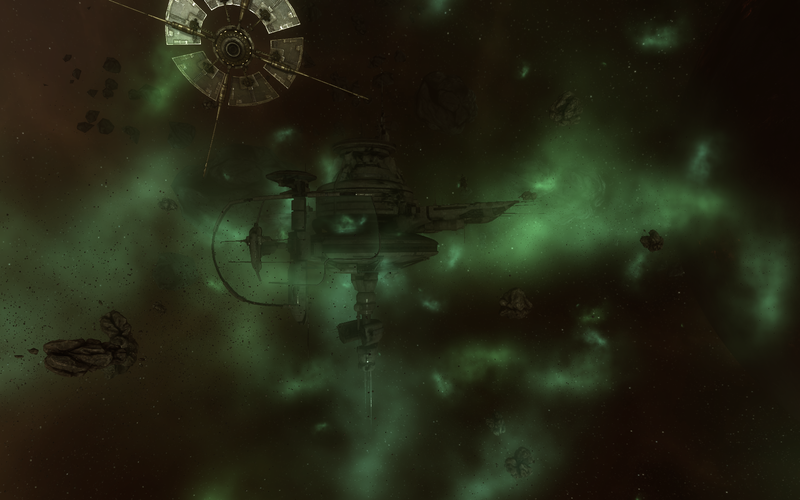 Of course, thoughts of the rest of New Eden quickly left my head as I finally approached the so-called Silent Battleground after three long months of searching. Despite my various mods, implants, and general skills at exploration, the site barely registered as a blip on my ship’s sensors, so I wasn’t really expecting to see much there. As the warp tunnel around my ship collapsed, I was pleased to discover that I couldn’t have been more wrong. 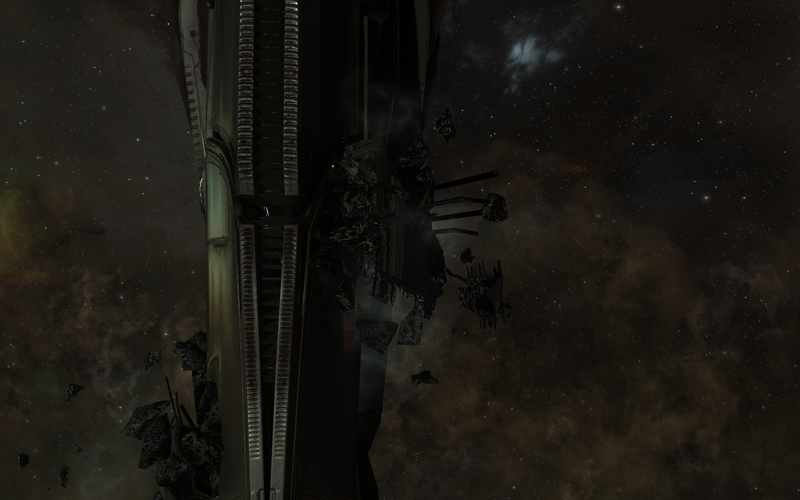 The first thing to catch my eye was the destroyed superstructure of a Sleeper enclave. 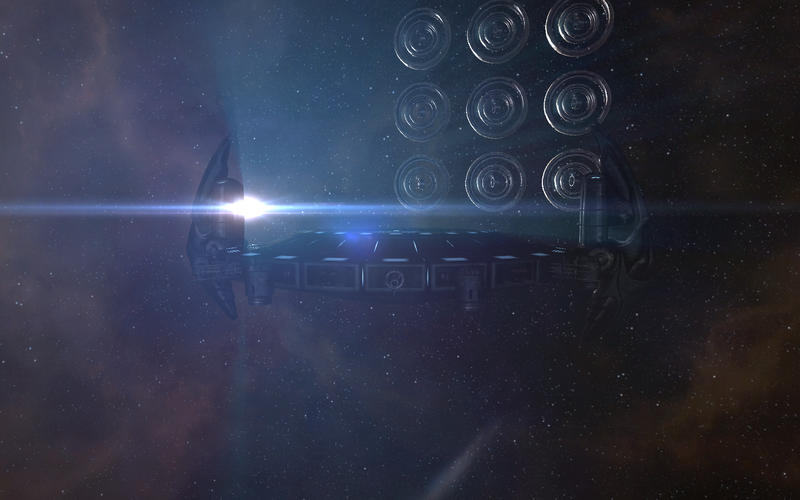 In fact, it was hard to miss, as it took up almost one-half of my view as I dropped out of warp. Despite the massive amounts of damage done to the enclave, I was surprised to see that the power infrastructure appeared to still be intact: lights still glowed throughout the enclave and the lack of fires or other explosions suggested that fire containment systems were still active. However, it was clear that the battle had taken its toll on the enclave. 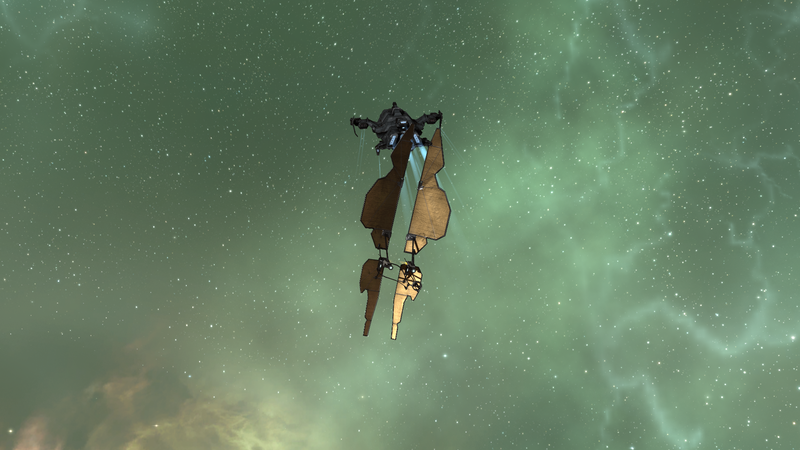 My Tengu flies past the enclave. 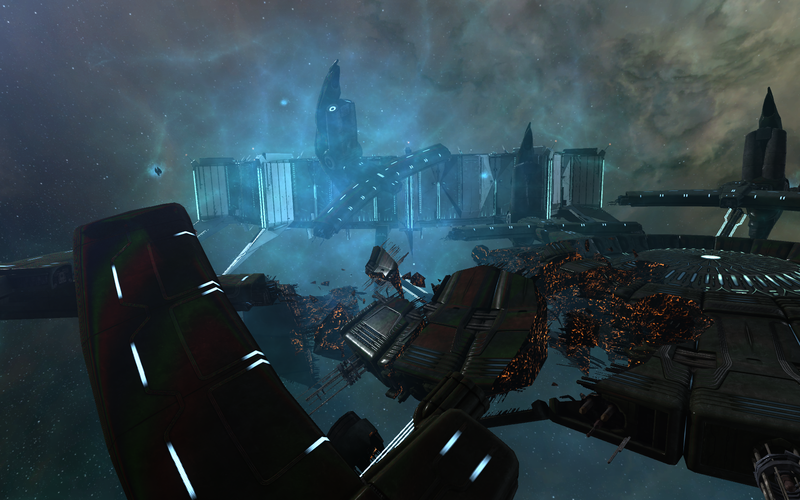 On the other side of the battlefield, the wrecked remains of a Revenant-class supercarrier can be found. 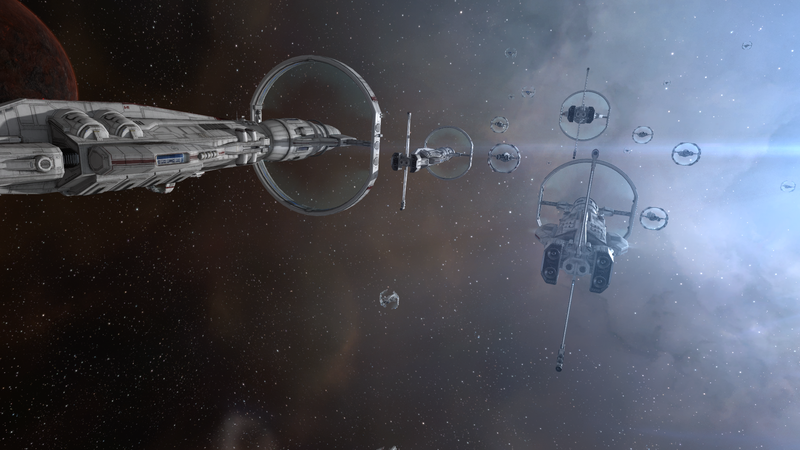 Even though Sansha ultimately won the fights, as evidenced by his getting hold of the wormhole technologies, it was clearly not without a high cost. 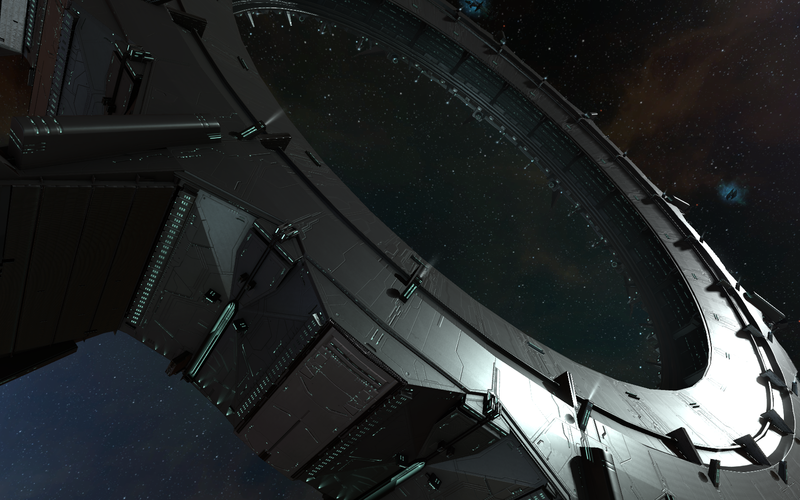 Revenants aren’t cheap, and although Sansha’s power has only grown since his reintroduction to New Eden, I have little doubt that the losses of so many Revenants across Anoikis were keenly felt. 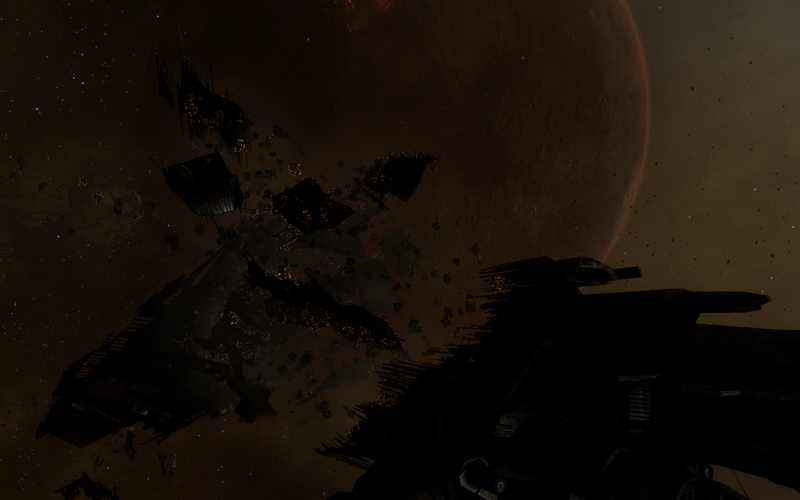 The behemoth vessel has been pulverized almost as much as the Enclave. Part of me wishes I could have been there to witness the colossal battle that took place here between the Sleepers on one side and the Sansha on the other. I have no doubt that such an image would be burned in my head even today if I had been able to witness it. More debris found throughout the site. The rest of the site is filled with debris and detritus from the battle. Throughout the site, local data clusters and safeholds within the various vessels involved could be seen, and the entire area contains a plethora of debris that a data or relic analyzer would salivate over, if the modules were capable of such a thing. 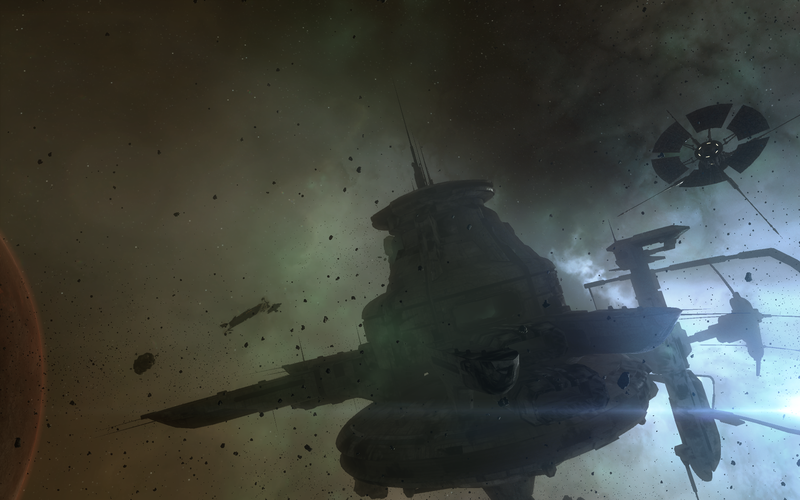 Sadly, nothing particularly noteworthy appeared in the scans of me or my companions… although a lot of salvage debris and other remains could be found, I wasn’t able to recover any data archives of the pitched battle or anything of use to uncovering more of the secrets of Sansha. 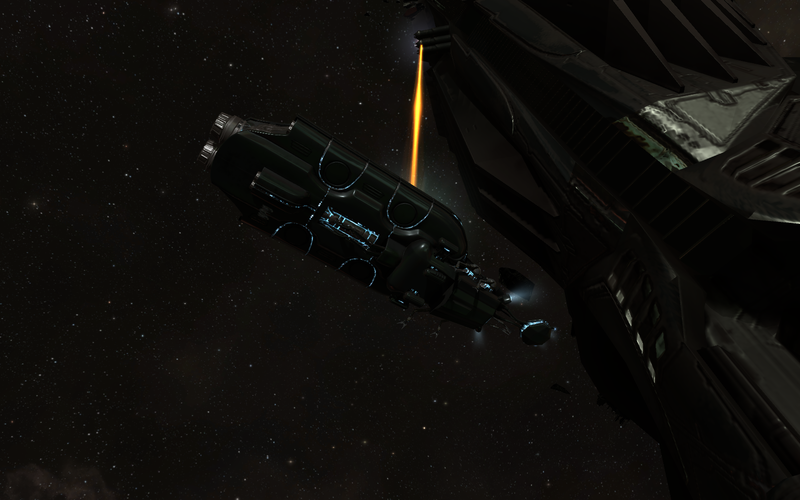 Still, at least I managed to get some isk out of the deal. It felt a little like desecrating the graves of the unknown, but I consoled myself with the idea that one side of the battle was fought by mindless drones while the other side was fought by people essentially turned into mindless drones. Death may very well have been a blessing. 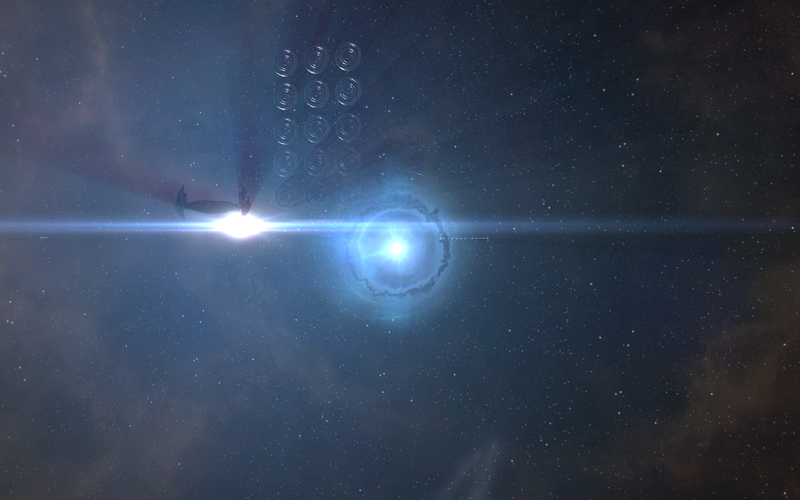 Eventually, however, it was time to return to New Eden, my months-long search finally at an end. I profusely thanked the pilot who had found the site (who wished to remain anonymous) as well as the pilots who had ventured forth with me to explore the area, and made my way back home. 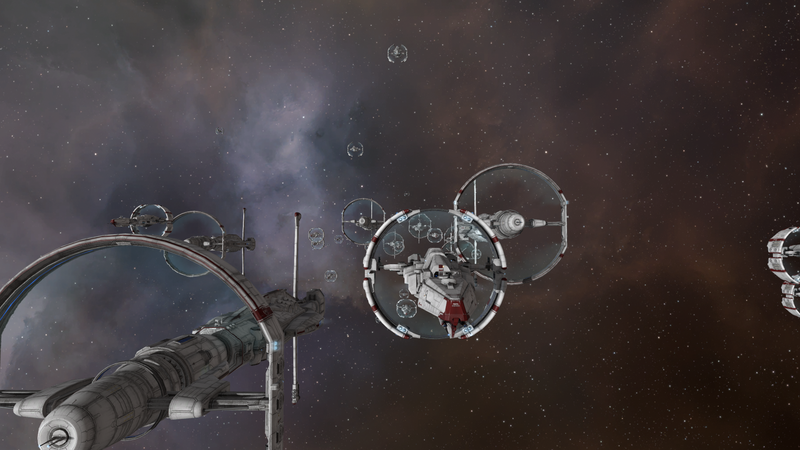 I re-entered New Eden almost feeling like trumpets should be sounding to blare my success, but my reappearance in New Eden caused little stir, except perhaps to my docking crews whom had undoubtedly gotten used to their boss being away for so long. 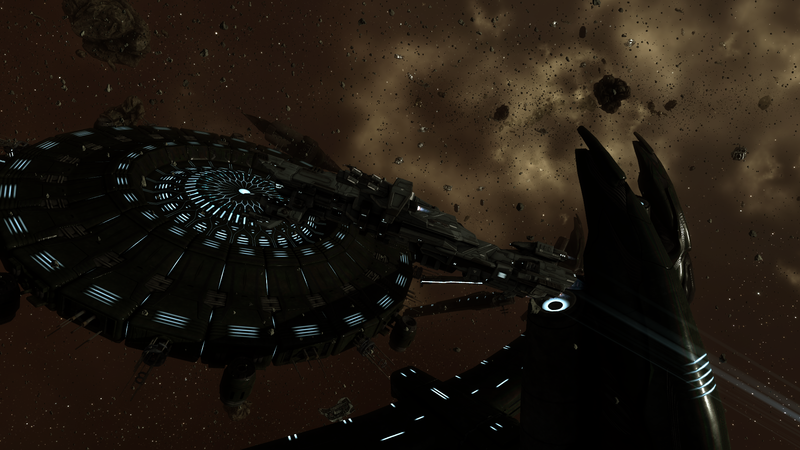 But as my now well-used Tengu slipped back into its docking bay, I couldn’t help but feel that it was good to be home. 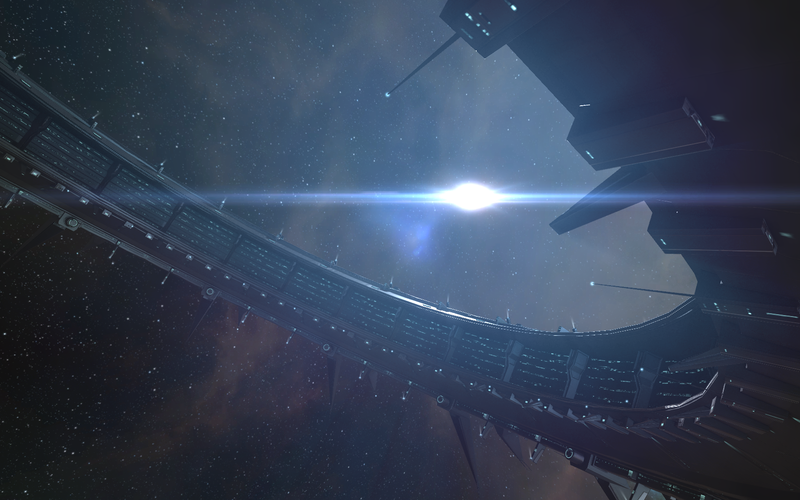 System: The site, though rare, can be found throughout wormhole space (including Thera). It registers as a data site, but it can be very difficult to scan down. 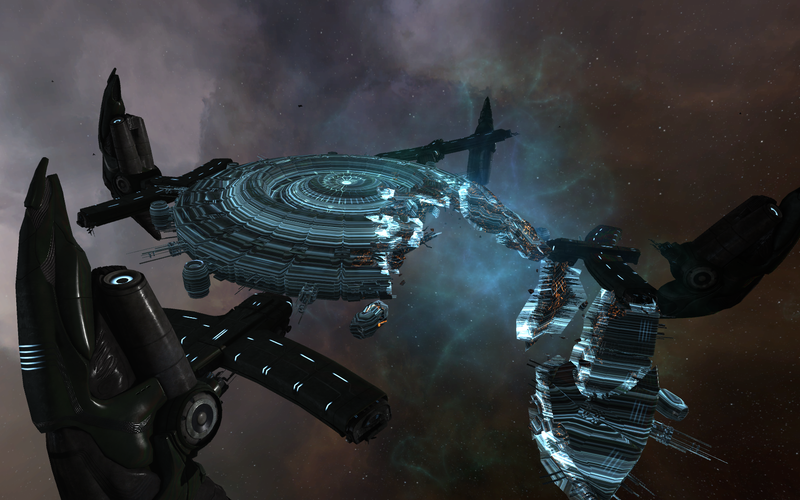 Potential Hazards: Few beyond the normal dangers of wormhole space. No Sansha or Sleeper rats were found at all during the observation of this site. Still, you will be wormhole space so caution is always advised. Tom’s Shuttle floats in the outer reaches of the system. In an era where I can cross 100 lightyears in less than an hour, I sometimes need to remind myself that space travel used to be a much slower and deliberate event; one where astronauts subsisted on protein pills and put their helmet on whenever possible in case of sudden decompression. It was also an era of more stately space travel in some ways; the time it took to get some place didn’t matter as much as the destination itself. But the stars look very different today than they did back we first left the tenuous grip of our homeworlds. Now, space travel is helter-skelter, as we rush from station to station and on to pick up, unload, and, as necessary, blow up, only to start the process again and again. But perhaps I’m just looking back at the supposed golden years of space travel with more than a bit of rose-tinted glasses. This mysterious shuttle is slowly passing through the system, following a predetermined course from some unknown origin. Although similarities between its design and some current starships can be discerned, this vessel appears to predate those ships by many centuries. Scans indicate that the shuttle once had room for a single occupant but now lies empty, sailing onward in silent memory of the visionary pilot it once ferried. I had expected to find some sort of labyrinth around the oddity. Instead, I found a single shuttle, for all the world looking as if it only travelled when the solar winds blow, surrounded by a gently glowing gas cloud. The similarities to the Zephyr, of course, couldn’t be ignored, but according to Aura’s analysis this particular tin machine appeared to be much older than that design. The shuttle floats in a most peculiar way; its design seeming to convey both standing still and a stately glide amongst the stars. Still, I couldn’t help but feel that the spaceship knows which way it wants to go, with or without a pilot to guide it. 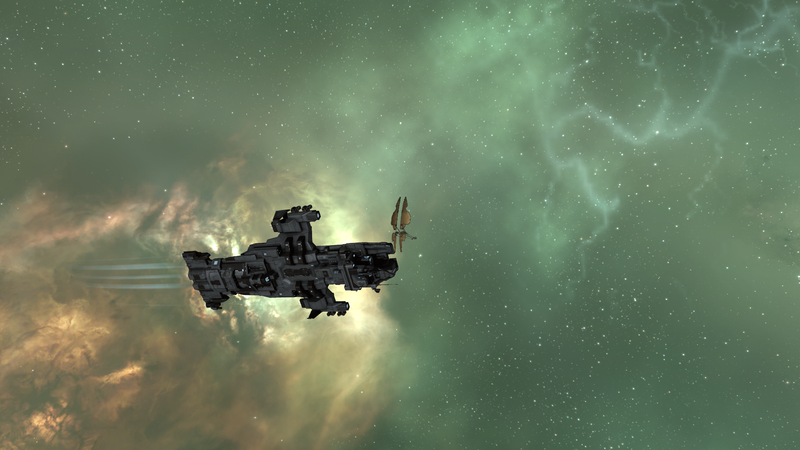 Soon it would undoubtedly move along from the outskirts of D-Q04X, on to yet another of the prettiest stars in New Eden, though where it will go next is completely unknown to me. But I’ll take what I can get by keeping the sound and vision in front of me as long as I could. Eventually, at the risk of being reduced to ashes, I had to move on and return to my broader search. It’s tempting to look back in anger at the time I’ve wasted in Anoikis searching for it, but maybe I should just learn to appreciate the time I have available to me to just sit and float amongst the stars. After all, there’s a certain graceful simplicity to probing down my corner of Anoikis day-in and day-out, and learning the quirks of my own personal corner of Anoikis. For here am I sitting in a tin can, far from the cluster, waiting to see what else is out there; not unlike, I suspect, Tom in his shuttle. Though I never met Tom, I can’t help but feel as if in some ways we’re kindred spirits, both roaming the darkness of space, both of us, in our own ways, starmen. Potential Hazards: As far as I can tell, Space Oddity can be found anywhere in known space (though it was in null when I manage to track it down). There were no rats at the scene, but obviously the normal warnings about other players apply. Additional information: Space Oddity appears on your probe screen as a combat site. Please note that it was VERY difficult to scan down, so if you run across it, a dedicated scanning ship is almost a necessity. The Unidentified Sleeper Device has been drastically rearranged. All good things must come to an end, as the saying goes. Nothing in life is permanent. Change is perhaps the universe’s only constant. Even us capsuleers and other infomorphs can’t last forever, regardless of how hard we may try. It’s to remember this when looking at small, ephemeral things. The newspaper changes every day, as we pick up the previous day’s to toss it out. For certain pilots, they can’t go a day without losing a ship (or five). It’s harder to remember that saying, though, with larger, more permanent objects. Indeed, it’s fairly natural for the mind to make the leap that “big” is fairly equivalent to “permanent”. Anthills are small and easy to destroy. Mountains are big and hard to destroy. Seems simple enough. That’s partially the reason that the Seyllin Incident shook us to our core. Even beyond the staggering loss of lives, many of us were aghast to see entire planets ripped apart like so much tissue paper, and we trembled when the stars themselves seemingly turned against us. For many of us, especially those born planetside, planets and stars are the eternal anchors of our lives, rarely changing, never going anywhere. To see this kind of destruction wrought can’t help but humble us to our very cores. My Scythe navigates the thickets of the debris. With all of this in mind, I admittedly did not expect to have to cover happenings deep in the Drifter hives again so soon after my last entry. It had been a long day to get myself into the Hive in the first place, and I didn’t really relish having to repeat the experience so soon. But shortly after posting my entry on the odd, pointy unidentified Sleeper Device, I started to receive some odd intel on happenings within the Hives. First off, somewhat conveniently for me, an acceleration gate was added near the Drifter Hive itself that allowed easy access to the area. Secondly, and much more ominously, it looks like the Device, whatever it was, has been destroyed. Mere hours after I had posted my article. Apparently I need to filter my readership a bit more. Having not meant to dive back into the Drifter systems so soon, it took some time before I was able to dedicate myself fully to the task of another Drifter sightseeing tour. But this past weekend, I was finally able to meet up again with my fellow explorers in the Consortium and take another jaunt into the Drifter systems. 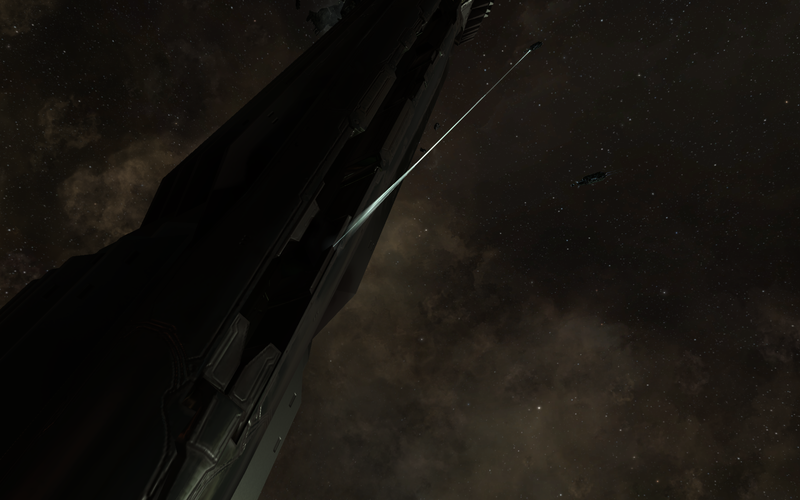 Digging up some old and, admittedly, rusty skills, I soon found myself in a Scythe, helping to repair my fellow fleetmates while they fought against Sleeper drones and Drifters. Still, it was a pleasant change of pace from my usual solo sojourns, and even more of a change of pace to not be firing weapons for once, but rather remote repairers. 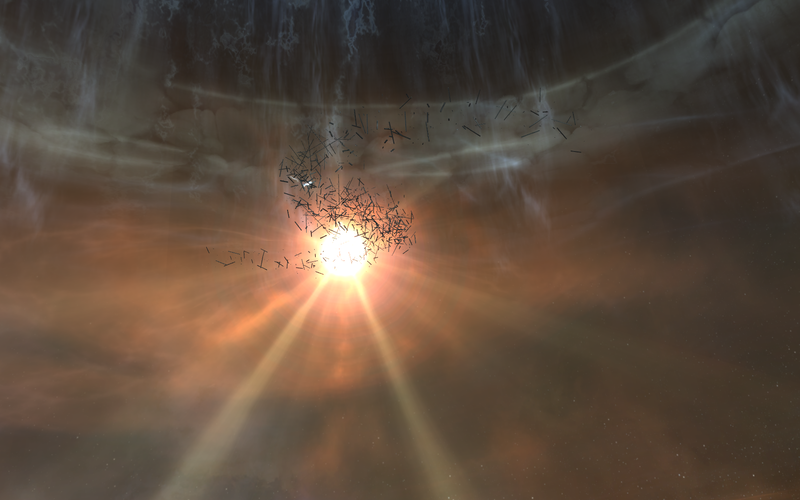 And waiting for the return of the Hikanta Tyrannos drone allowed me to reflect once again both on the staggering size of the Hive construct, and how little we truly know about the Drifters. 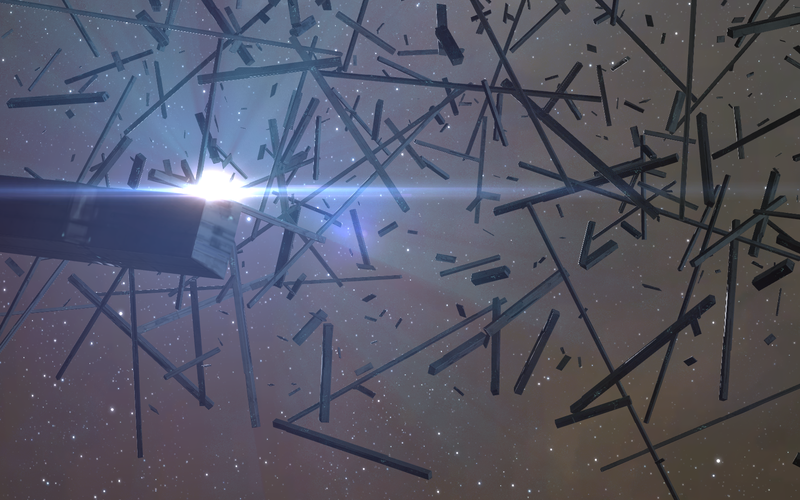 Starlight filters through the massive debris field. Finally, however, it was time to move on to the big event, such as it were. By using the now-convenient acceleration gate, we were able to cut out the long slog that was the original trip to the unknown device. The near-instantaneous transportation to the area didn’t take away from the grandeur of seeing the majestic, spiraling whirlpools materializing above and below me as I drew close to the area. My eyes were immediately drawn to them, so much so that I nearly forgot what I had even come into area for. But the corner of my camera drones caught flashes of light that quickly drew my attention from the stately, if still completely mysterious, vortices. The flashes of light, it turns out, belong to what remains of the unidentified sleeper device. As if a giant hand had hand-picked pins out of a pin cushion, the debris field stretched almost as far as the eye could see. The various sticks, originally arranged in circular fashion, now are laid out in a serpentine pattern, as if it were a winding path. Lightning crackles between the various posts: the flashes of light that originally caught my eye. As far as I could tell, the lightning was completely harmless to my Scythe. 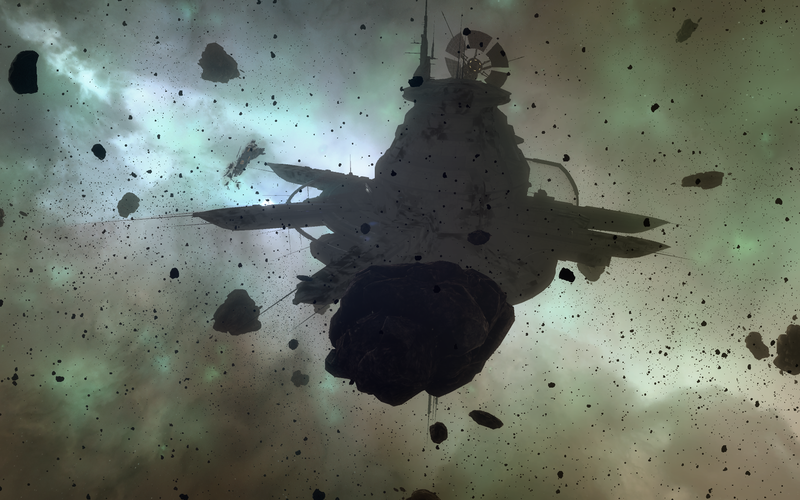 Even when flying amongst the various pieces of debris, I couldn’t detect any damage being taken by my ship. And debris is how Aura immediately identified the various objects: unlike before, where she identified the space pincushion as one large, over two hundred kilometer object, she now identified dozens, if not hundreds, of pieces of individual debris, and labeled them accordingly. The total length of the debris field, if stretched into a line, was many hundreds of kilometers in length, and why it was laid out in that particular shape is unclear. Indeed, if this were the result of a strict attack on the structure, I would have expected the various prongs of the device to be even more scattered than they had been before. Instead, the prongs have been mostly lined up in the same orientation, and there were few signs of damage on the prongs themselves other than the lightning that can be seen crackling amongst the forest of former arms of the device. Even odder, if there were an attack, it’s not clear who would have done such a thing. There were no signs of Drifters or Sleepers anywhere near the area, and it seems unlikely that they would leave the area unattended after. On the other hand, the acceleration gate may demonstrate that the Drifters and Sleepers are aware of, and have easy access to, the device. Why the Sleepers would attack their own device remains a mystery, but that leaves the unsettling possibility that there may be another, as of yet unknown faction at play here. Whether we’ll see another rearrangement is unknown. Regardless, it was unsettling to see such a complete restructuring of a device that seemed so stable mere weeks before. It was one thing to watch the gradual deterioration of the Jove observatories as they are slowly disassembled by the Drifters and Sleepers, but it’s another matter entirely to see the complete transformation that occurred here over such a short period of time. It goes against the core of the idea that “big things change slowly”, yet here was obvious evidence that this was not always the case. But perhaps this was just the exception that proves the rule. As I set a course for home, I hoped that I would never be on the receiving end of whatever calamity befell the unidentified Sleeper device. System: Barbican can be found in J110145, Conflux can be found in J200727, Redoubt can be found in J174618, Sentinel can be found in J055520, and Vidette can be found in J164710. As of writing, the device has been confirmed in all five hives. 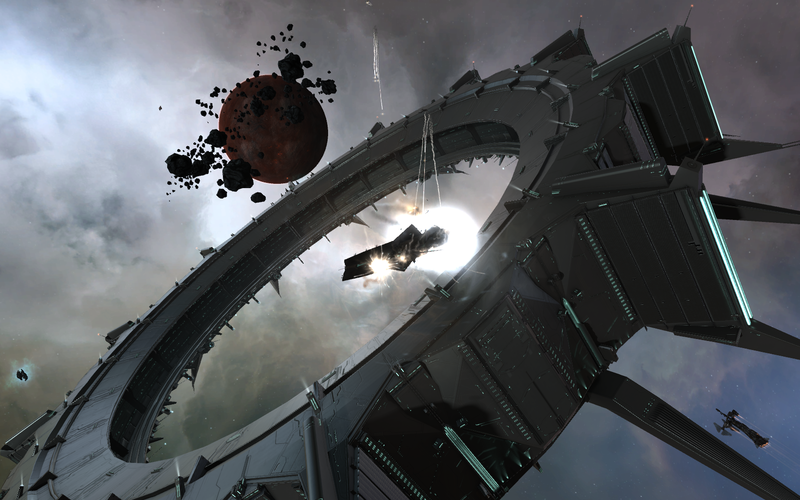 Potential Hazards: Beyond the normal dangers of wormhole space (including other pilots), Drifters and Sleepers can be found throughout the site. 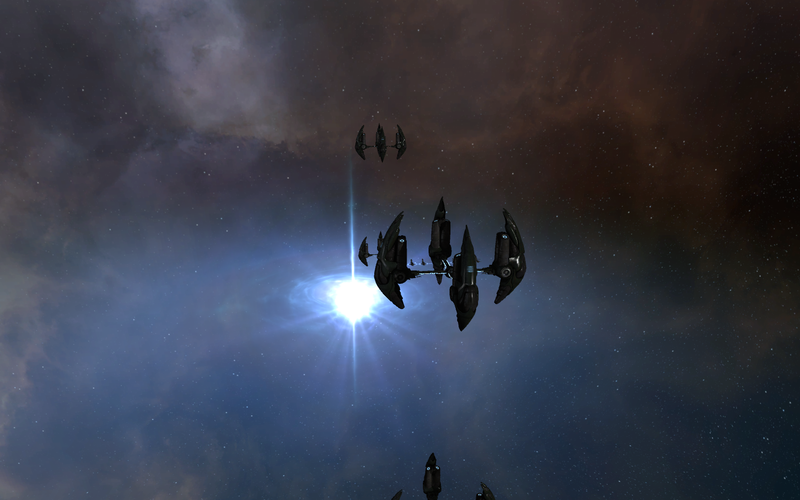 Drifters can doomsday almost all subcapital ships in one shot once their primary shields are brought down. Drifters will change the rooms they are stationed in throughout a complex approximately every half-hour. Data analyzers are required to hack the gates. Fast, cloak-equipped ships (to evade Drifters until they out of range) are strongly advised. Additional Notes: An acceleration gate can be found in the Hive room of each of the Drifter complexes that leads to this area. 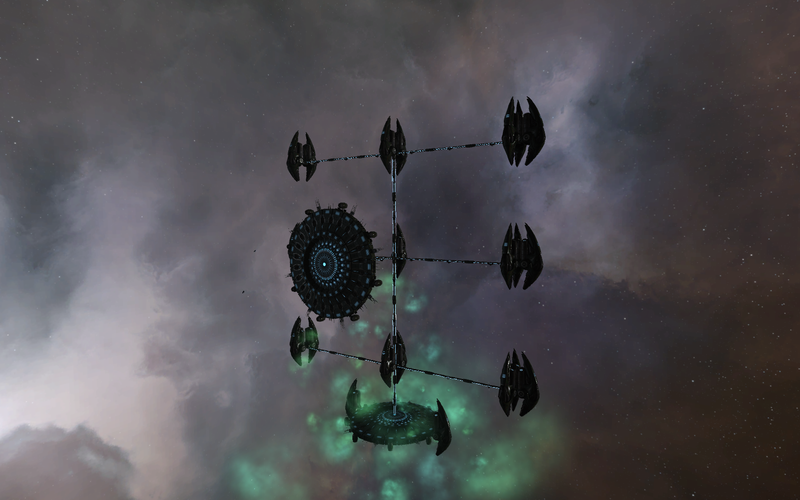 Additionally, the old method of flying in a straight line from the ‘lobby’ or ‘split’ of the complexes towards the complex’s hive is still valid. The device will be found roughly halfway between the two rooms, about 10,000 kilometers from the ‘lobby’ and 10,000 kilometers away from the hive. The device appears to be in the same location relative to the rooms regardless of which Drifter complex is visited. 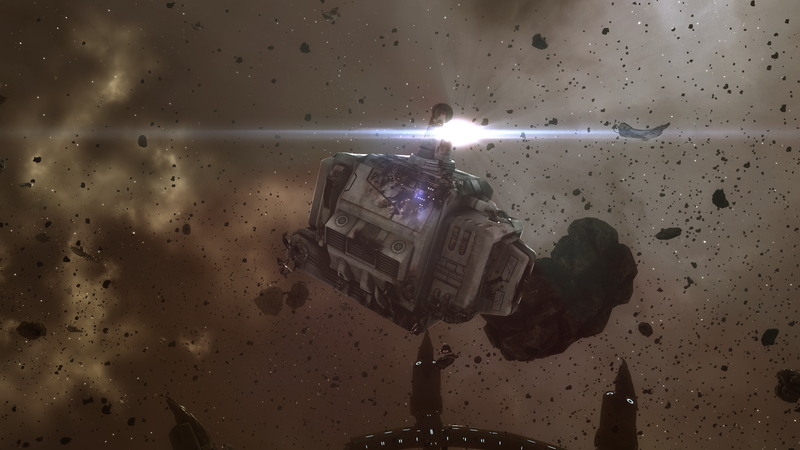 Author’s Note: I’d like to extend my sincere thanks to Makato Priano and Itsukame-Zainou Hyperspatial Inquiries Ltd. [IKAME] for allowing me to accompany them on two ops into the Conflux and Vidette sites, along with the other non-IKAME pilots that accompanied us. 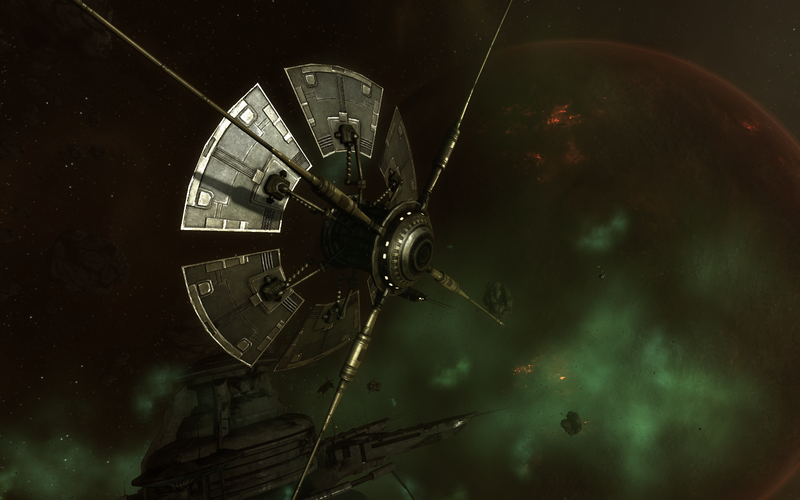 Their assistance was invaluable in allowing me to survey both the Conflux and Vidette complexes, and their companionship was instrumental in ensuring that despite long waits and tense situations, I managed to keep myself sane. It’s been said that the waiting is the hardest part. I have learned this lesson all too well ever since Hilen Tukoss, or, at least, someone claiming to be Dr. Tukoss, appeared on the Intergalactic Summit back in October of last year. 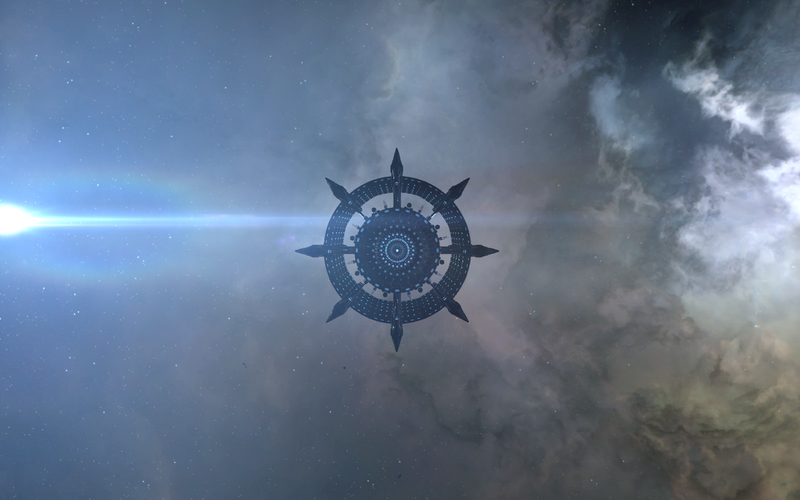 Since then, I have been waiting for more information to make its way to those of us in New Eden who are interested in our collective history and future. And come it has, although often the new information merely brings more questions than it does answers. Sometimes, though, that is the nature of the beast. Realistically, expecting to get all answers to mysteries that have lasted for perhaps thousands of years within the span of a few months is perhaps too much to hope for. But anything that helps us understand the fascinating story that is New Eden is something to be cherished, even if it just acts to show us how much we don’t know. One prime example of something we only recently have started to know that we don’t know (which, I suppose, is better than not knowing something we don’t know) are the Drifters. An unexpected plot twist, if you’ll forgive me extending the story metaphor, the Drifters were completely unexpected even by those who study the history of New Eden. Indeed, while large gaps still remain in our understanding of the cluster, we at least thought we understood all the major players. That assumption appears to have been in error. While the Drifters are clearly related in some ways to the Jove, they are a distinct faction in their own right, aligning themselves with the Sleeper Circadian Seekers as they continue to salvage data from the Jove Observatories. And don’t even get me started on the obvious technological differences between the Drifters and what we’ve seen of Jove technology. 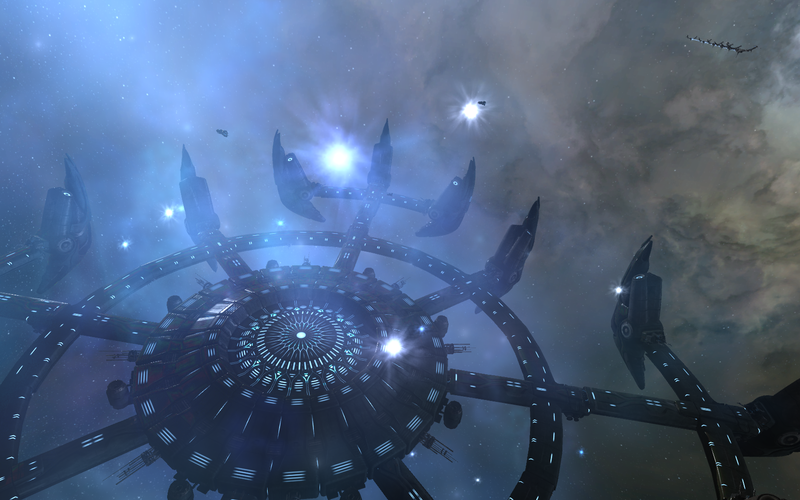 The spatial rift near the center will return pilots to the beginning of the complex. But the layers of mystery surrounding the Drifters are beginning to be peeled back. 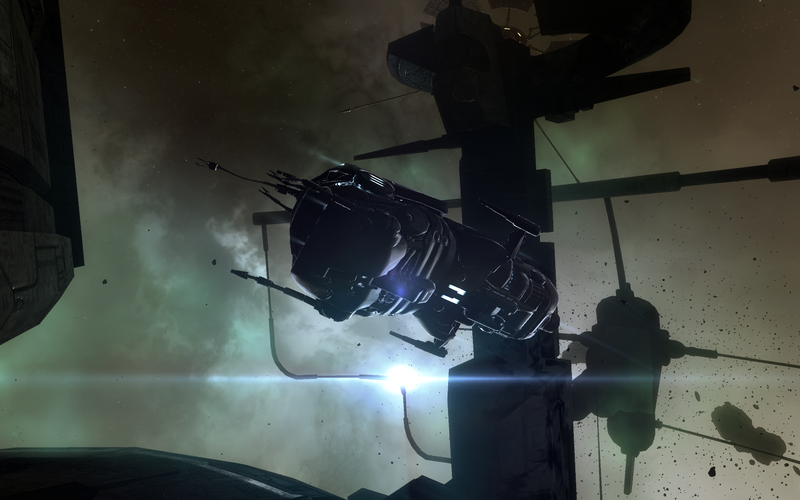 As I’ve discussed here before, the Drifters began probing New Eden at the same time that the unidentified wormholes started popping up in systems with Jove observatories. While Drifters were observed coming and going through these new wormholes, these holes were somehow locked out for use by non-Drifter ships (the fact that the only other wormholes to demonstrate this kind of selective passage were those generated by the Sansha during their initial invasion of New Eden has led to significant speculation, but that’s a bit beyond the purview of this entry), so we contented ourselves with what little we could observe of Drifter behavior and what could be seen through these wormholes. That changed a few weeks ago. 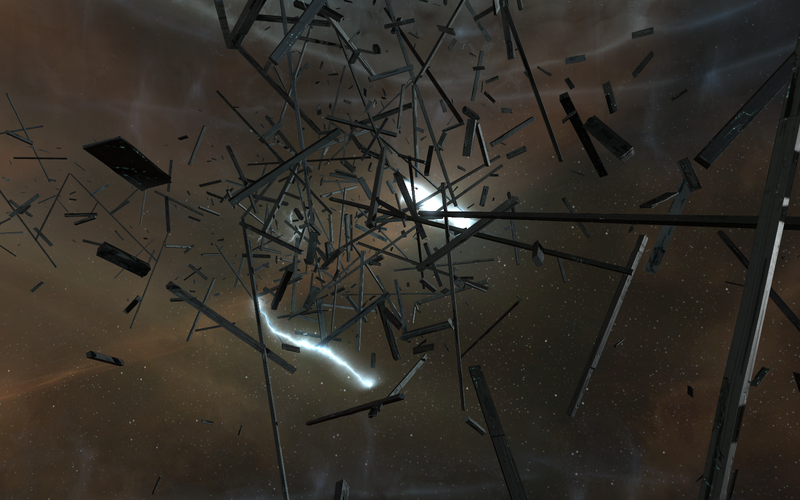 With no fanfare or explanation, these wormholes suddenly became traversable to the general spacefaring community. The reasons for this sudden access remain unclear. It may be deliberate on the part of the Drifters, although this seems unlikely given that they continue to fire on any vessels they see approaching the wormholes. It may also reflect an error on their part, or some sort of malfunction of the equipment. My personal opinion is that this reflects the continued degradation of Jovian and related technologies that began with the explosion that led to Caroline’s Star. Of course, I have nothing to with which to substantiate that theory, but it’s as good a reason as any. 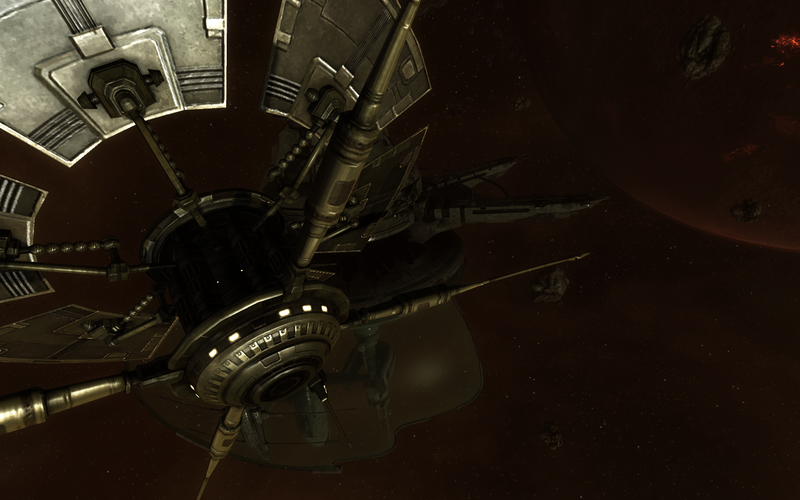 Regardless of the cause, however, it quickly became clear that capsuleers now had access to core staging areas for Drifter forces, including the system from where Dr. Tukoss both warned us of the coming invasion and came to his unfortunate demise. 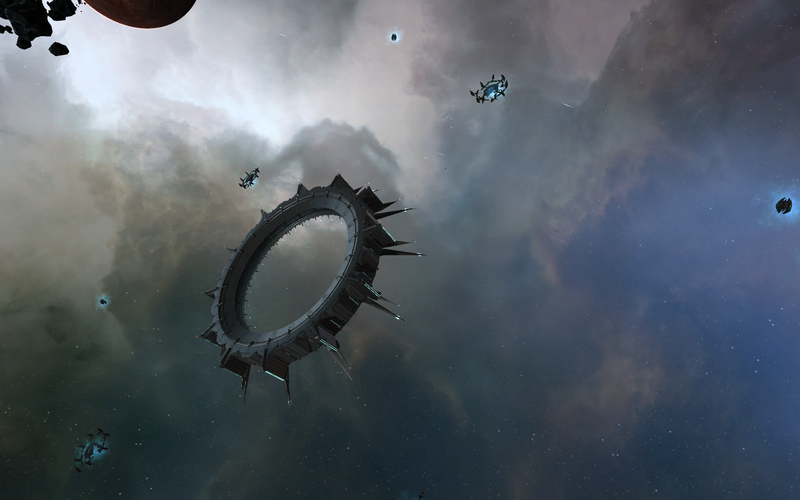 These staging areas can be found in five new systems that, until now, capsuleers did not have access to, with each system containing its own unique complex. 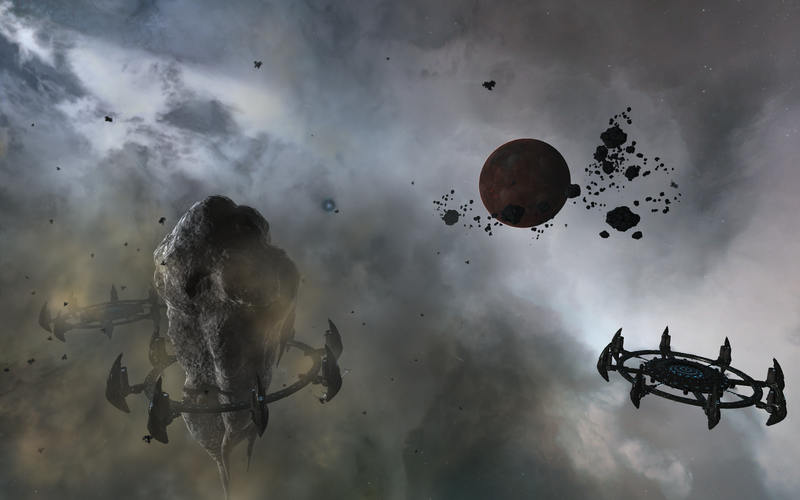 Aura was able to provide a rough translation for the complexes found in each system: the Barbican complex can be found in J110145, the Conflux complex can be found in J200727, the Redoubt complex can be found in J174618, the Sentinel complex can be found in J055520, and the Vidette complex can be found in J164710. Note that almost all of these names evoke the idea of guarded fortifications, while the last one, the Conflux, evokes the idea of a coming together of forces. Indeed, these names alone are the principle reason that I believe we have not yet discovered the true home systems and stations of the Drifters. Rather, we have gained access to the Drifters’ primary naval staging ground, where their forces can gather, resupply, and drop off whatever it is that they are searching for. Notably, despite the heavy Drifter presence, analyses indicate that the structures found at these sites are almost all Sleeper, and not Drifter, in origin, suggesting far closer collaboration between the two civilizations than even we had previously believed, as Drifters appear to use these facilities to, among other things, construct their ships. Despite their Sleeper origins, I’ll refer to them as Drifter complexes given how integral the Drifters are to these sites and to prevent confusion with other, more common Sleeper complexes found throughout Anoikis. Needless to say, I was extremely interested in diving into these complexes as soon as it was evident that they were accessible to us, especially once I started seeing pictures of the structures that could be found in them. Thankfully, being well-known in the exploration community has its advantages: within 2 weeks of the discovery of these new systems, I was invited to join an expedition organized under the auspices of Itsukame-Zainou Hyperspatial Inquiries Ltd. [IKAME], and its CEO, Makoto Priano, to explore two of these Drifter staging areas, the Conflux and Vidette complexes. Normally, of course, I tend to operate as a solo explorer (as do most people in the profession). The freedom allowed by having to depend on no one but yourself, and explore as much (or as little) as you’d like is something that is hard to lose. However, within hours of the discovery of these complexes, it became evident that if pilots were to have any hope of penetrating the depths of these areas, they would have to do so with a group of fellow pilots. 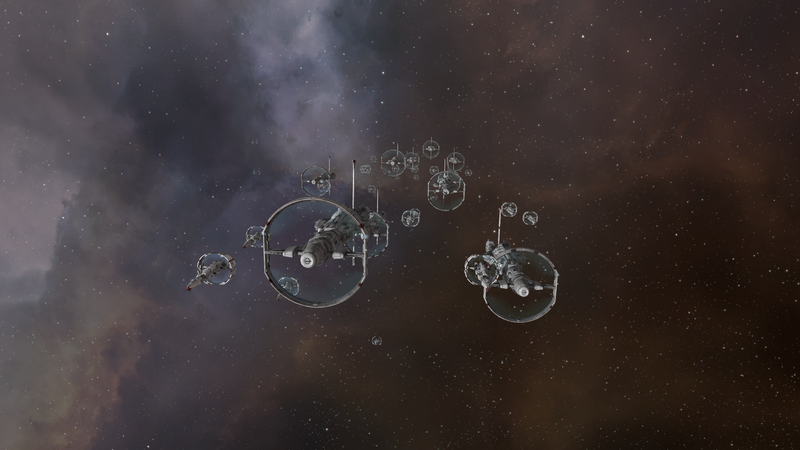 And so, with that in mind, I found myself in a fleet of 10-15 other capsuleers last weekend as I prepared to plumb the depths of these two complexes. Before moving on, a few caveats for those who may be interested in following in my footsteps: First, these sites cannot be completed solo. As I’ll describe below, it is physically impossible for fewer than 2 people to get to the end of any of the complexes, as it often requires simultaneous or near-simultaneous hacks of multiple deadspace pockets at once. Furthermore, as might be expected, Sleepers can be found in significant, though not overwhelming, quantities in almost all of the deadspace pockets of a particular complex. 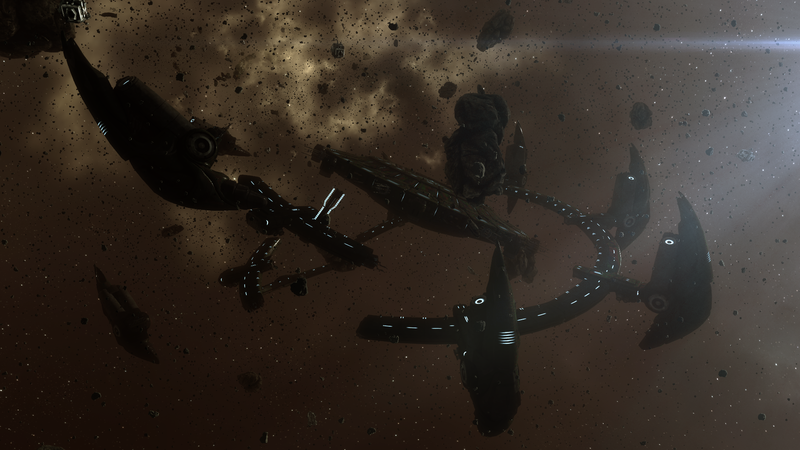 And this says nothing of the Drifter battleships that roam the various deadspace pockets. These rotating sentries change rooms every half-hour or so, and unless you have substantial firepower (and a sacrificial ship or two), requires you to cloak to wait for them to move along. Indeed, moreso than most other sites, a cloak of some kind is almost essential to ensure that you can choose when (and where) engagement of defenses occurs. Definitely not a place for the weak of heart, but, in my opinion, well-worth the risks. And, finally, a word (ok, multiple words) on the basic structure of these complexes. As I said, they cannot be completed solo. This is because in order to get to the final portion of the complex, universally called a Hive amongst all five sites, you generally need to be taking portions of your fleet up two parallel tracks. Various data centers need to be hacked on one track to allow further progress up the other track, meaning you’ll need both combat capability and hacking capabilities in each track. Maps of each complex (courtesy of pilot Xindi Kraid), including threat assessments and gate locations, can be found here. While I only had the chance to explore two of the complexes, comparing notes with others has made it clear that while substantial differences exist amongst the five complexes, their similarities in discoveries and basic composition are similar enough to not warrant separate entries (though seeing the length of today’s entry, perhaps it may have been more intelligent to break this into multiple parts). With all of that in mind, I finally turned my attention to the complexes themselves. 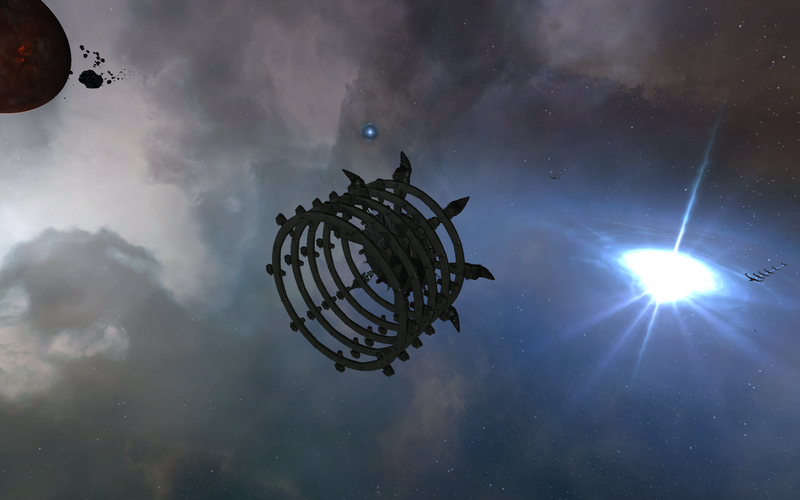 Both Conflux’s and Vidette’s opening deadspace pockets, known simply as the Beacon, look the same: a lone acceleration gate surrounded by a few simple Sleeper constructs. Even here, Drifters may be found upon dropping out of warp, and avoiding getting decloaked by the beacon as you enter the area may take some tricky piloting on your part. The lone acceleration gate will take you on to what is colloquially known as either the Lobby or the Split: the area where the two parallel paths diverge. Like all rooms past the entrance, the Split contains a spatial rift that will take pilots back to the start of the complex if necessary. The fleet from then on will not rejoin each other until the penultimate stage of the complex, but the two parts will still need to rely on each other in order to progress through the rest of the complex. After the Split comes room after room filled with stunning examples of Sleeper architecture. Dazzling arrays of particle accelerators, enormous constructs of Sleeper enclaves, and mysterious structures whose function both Aura and I could only guess at can all be found throughout these complexes. There was even a room that had a spatial phenomenon that appeared very similar to how the Children of Light are supposed to appear. Almost every area was breathtaking in its own way. Clearly, the Sleepers care as much about form as they do about function. In one particularly fascinating room, the Sleepers have constructed a number of rings, stacked upon each other to make a giant cylinder, seemingly to contain a large monolith identical to the one that can be found in Dead End. This is not the first time that the Sleepers have been found associated with these mysterious structures, but rarely have I seen the structures so central to Sleeper architecture. This was not the only room where the focus wasn’t on something clearly of Sleeper construction. A few rooms instead bring focus to apparently natural asteroids. Perhaps there was something about these asteroids that my sensors couldn’t detect, or perhaps they were just there as pieces of Sleeper art, I don’t really have any idea. Still, my eyes couldn’t help but be drawn to these towering hulks of rock surrounded by various pieces of Sleeper equipment. In one room, the asteroid itself seemed to be teeming with Sleeper structures, but my sensors could no more make heads or tails of those than they could of most other structures. That being said, I did have plenty of time to examine some rooms while waiting for the Drifters to move on to the next stop on their patrol. 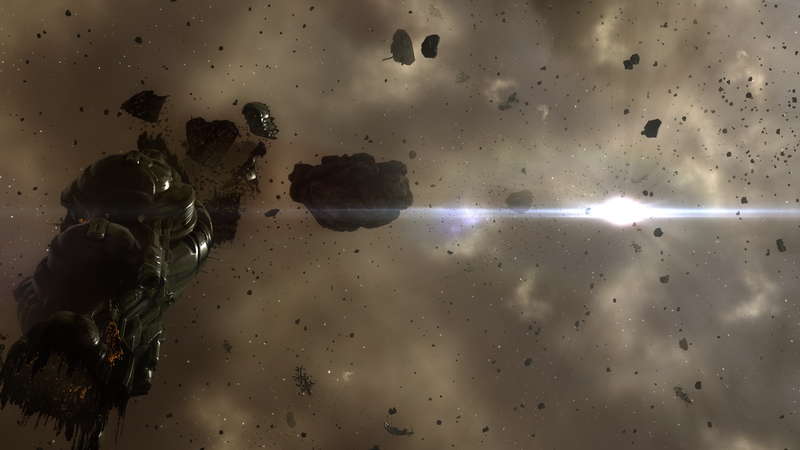 A Sleeper ship under heavy fire. Even beyond these potential pieces of Sleeper art, I made some interesting observations. For example, despite these areas supposedly being Drifter and Sleeper strongholds, Drifter battleships and Circadian Seekers could be found roaming and, more notably, scanning any items they find in the areas. 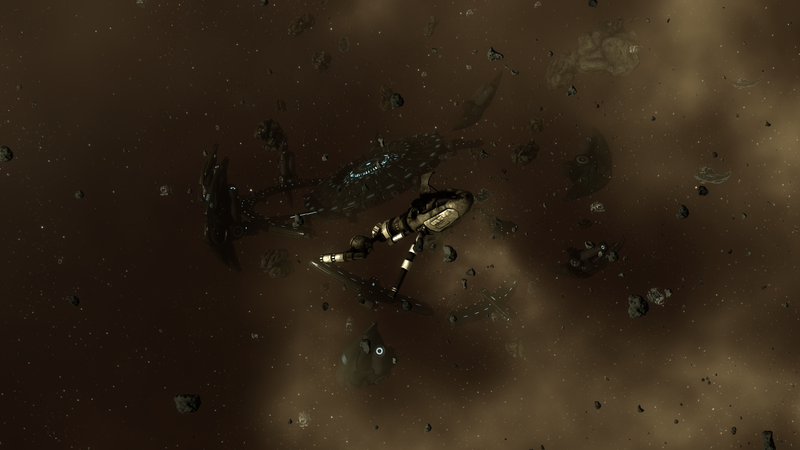 While such behavior might be reasonable in New Eden, where presumably they are gathering information, why they would feel the need to repeatedly scan their own structures is beyond me, unless the scanning also performs some sort of secondary, unknown function. Circadian Seekers can also be seen performing this puzzling behavior, which is even odder considering that the Seekers are Sleeper in origin themselves. Even more surprising, though, was the discovery that signs of damage can be found throughout the complex. Most commonly, this damage manifested itself as partially destroyed Sleeper enclaves. Bright fires can be seen burning in and on the affected enclaves, even from a distance. There was no indication, however, of what caused the damage to these structures. 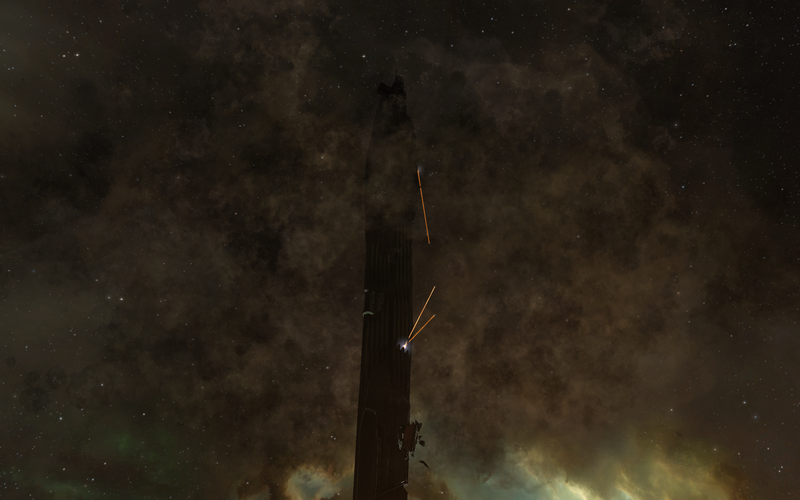 As usual, capsuleer weaponry has no effect on any of the Sleeper structures, so it was highly unlikely that any groups of capsuleers who may have already surveyed the complex was the cause of the observed damage. Perhaps it was some sign of inner turmoil amongst the Drifters or the Sleepers, or some sort of retribution brought by the Jove, because the damage could be seen even in the innermost sanctums of these Sleeper complexes, with the drifting pieces of wreckage marring the beauty of even these sights. 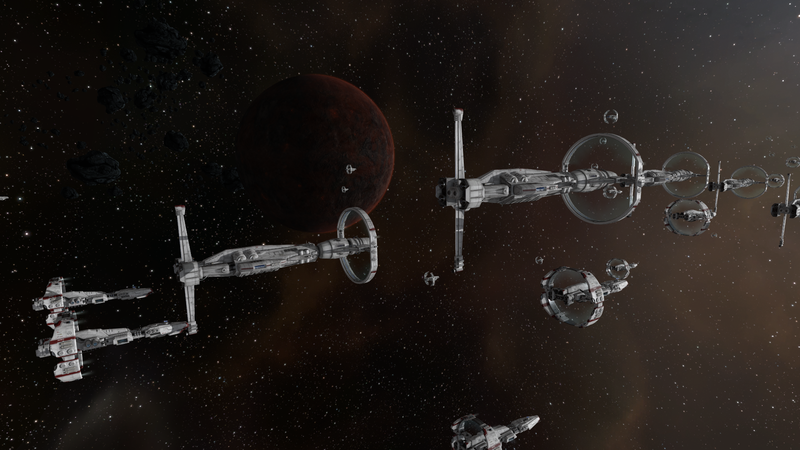 Eventually, after clearing the gates and hacking what needs to be hacked, the fleets rejoin each other in the Antechamber. Here, two full Sleeper enclaves can be found towards the periphery of the area. In the middle, the Sleepers once again show a somewhat odd fascination with an apparently normal, if sizeable, asteroid. 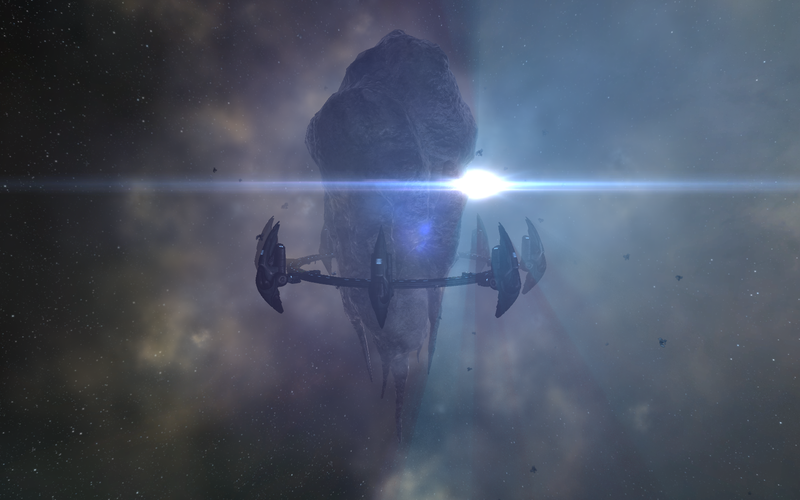 This time, the rock is probably about on par with the size of the Jove observatories that can be found throughout New Eden. More importantly, sheltered in the shadow of the large rock can be found the last, unlocked acceleration gate. The last gate is a good ways away from warp-in point, giving you plenty of time to reflect on the journey you took to get here (or, if your expedition goes anything like our journey into Vidette went, it will be a harrowing high-speed burn as you try to dodge incoming Drifter fire long enough to activate the acceleration gate, but that is neither here nor there). Finally, then, you get to the heart of these complexes. 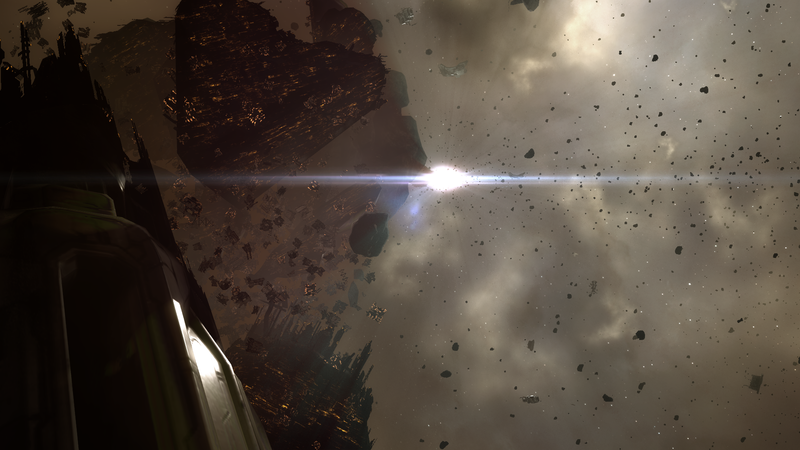 And the moment my view stabilized after dropping out of warp, I had no doubt whatsoever that the journey was worth the effort. 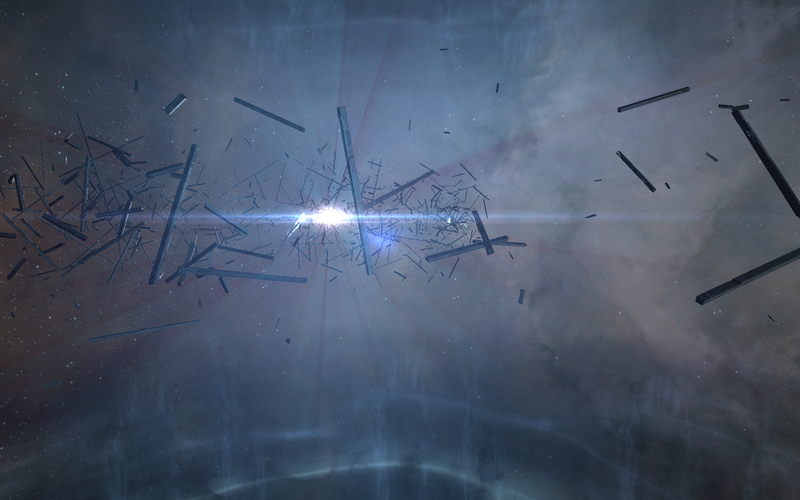 This central room, which Aura marks as the Hive, is dominated by a central Drifter station, for lack of a better word. But that gives these colossal structures far too little credit. 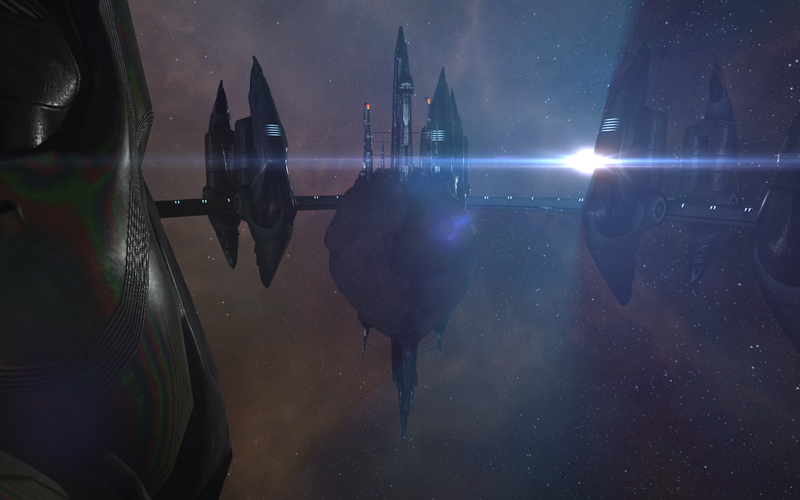 Rough estimates make these structures over 200 kilometers across, dwarfing even our largest titans. 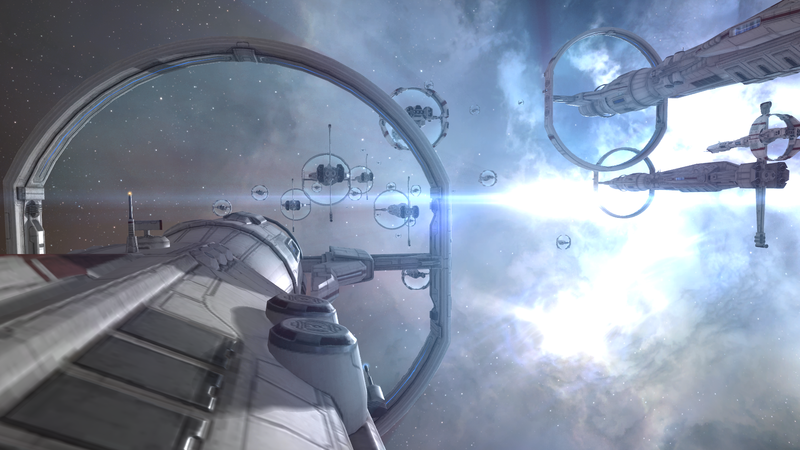 The station appears comprised of multiple rotating rings, which can be seen slowly rotating when looking at the inner rim of the station. The exterior of the structure is generally a sheer grey wall with many features, multiple kilometers in height. Despite the structure’s size, it is far too easy to lose yourself examining the countless nooks, crannies, antennae, viewports, bays, and other details along the outer rim, not to mention the giant points coming off the outer rim, like spokes of a wheel pushed past the rim. Dwarfing the majestic enclave in size, the scale of this Hive sends shivers of awe into all those who bear witness to its grandeur. Its walls stand defiant against the harsh black vacuum. Its structure, testament to the unfathomable technological prowess of the Sleeper race. Cold, sharp edges seem to tear at the very fabric of space, distorting reality around it. One can only cower in fear at the thought of what a construction of this magnitudes purpose could be. Poetic license of the ship’s resident AI aside, I couldn’t help but agree with what she had to say. Particularly noteworthy was the mention of space-warping technology. Indeed, some of the antennae poking out of the Hive seem to mimic the effects found when the Drifters are engaging their sublight, non-classically-propulsive engines. Which, of course, raises the rather disturbing possibility that not only are these structures truly titanic, but these structures are truly titanic as well as mobile. 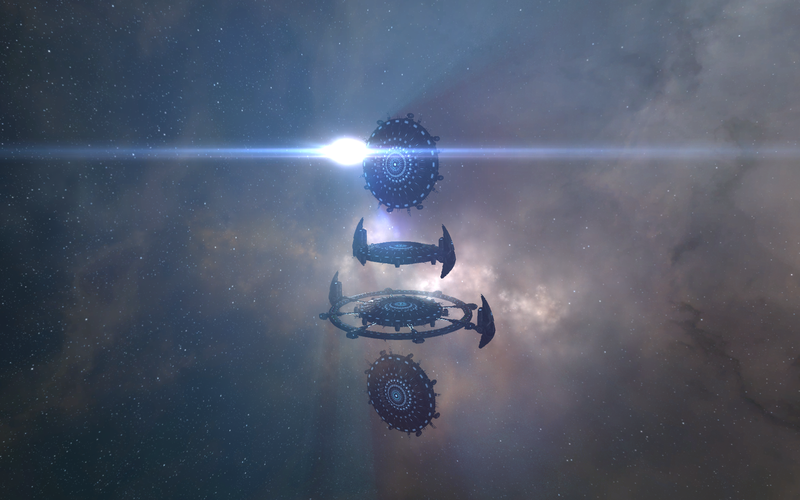 Indeed, some of my fellow fleet members speculated that we may be looking at a particularly large stargate, given that the Hives are oriented differently in each of the five complexes. Regardless, beyond the fact that these structures seem to be used as manufacturing facilities, little is known about the purpose of the Hive beyond the fact that the Drifters and Sleepers put substantial defenses in place to keep it safe. 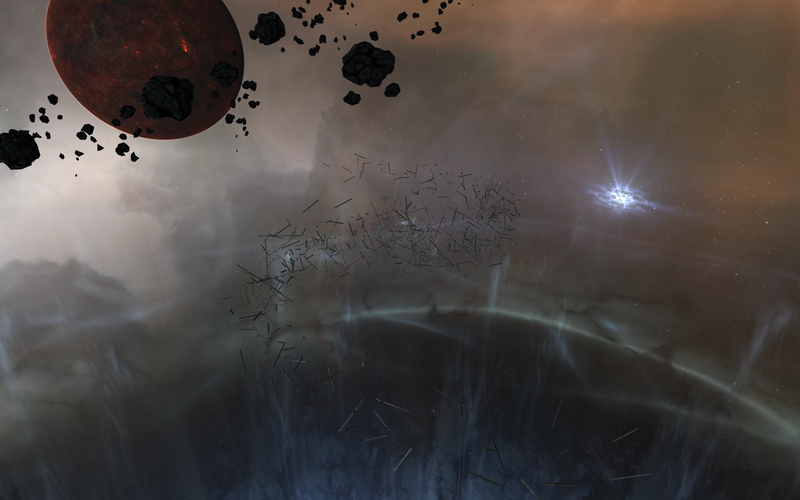 While the Hive definitely dominates the final area, it is by no means the only thing to be found in this final area. After I finally tore my eyes off of the structure, I had a look around. It should be needless to say at this point that the area was littered with various Sleeper structures and constructs, but a few other notable things bear mentioning. First, even here in the very heart of the Sleeper and Drifter complexes, signs of non-capsuleer-caused damage can be seen. 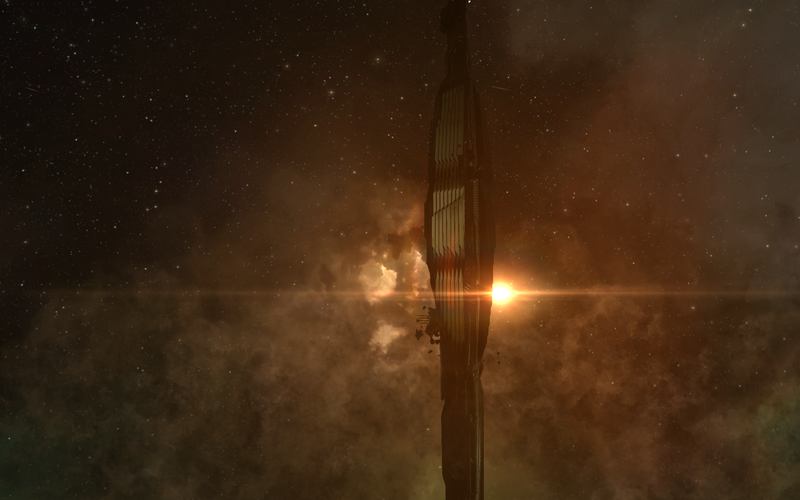 A Sleeper enclave near the Hive once again bore signs of significant damage to its outer hull, with pieces of the structure torn away. What caused this damage even in the heart of these complexes again brought the prospects of civil war or, perhaps even more ominously, an as-yet unknown party, to my mind once again. Hikanta Tyrannos comes under heavy fire. Further, or perhaps in answer to my question regarding the cause of the damage, the Hive is also littered with Jovian corpses. This is interesting for two reasons. First, of course, is that there is no particular reason why the corpses should be here in the first place, as there have been no other signs of Jovian encroachment on these sites. 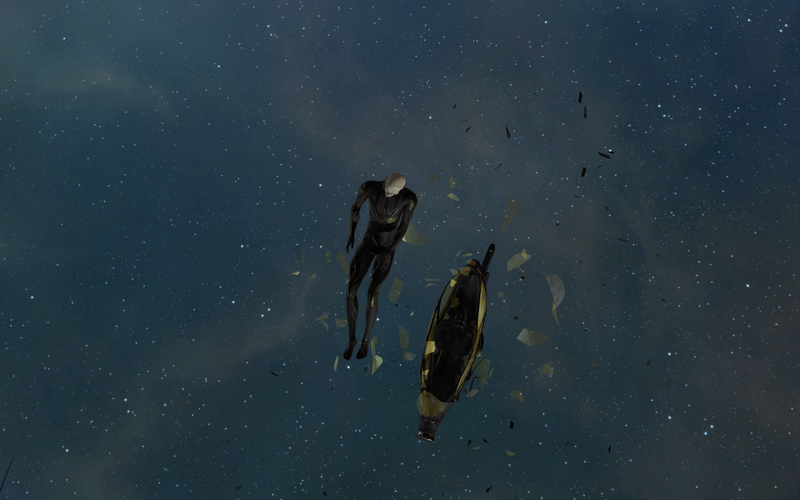 The second reason that the presence of these corpses is notable is that the Drifters have shown a particular affinity for space-flight-adapted bodies after death, with the evidence heavily suggesting that the Drifters re-purpose and augment the corpses in order to create new copies of Apollo and Artemis, our dear Drifter friends who pilot most of the Drifter battleships. 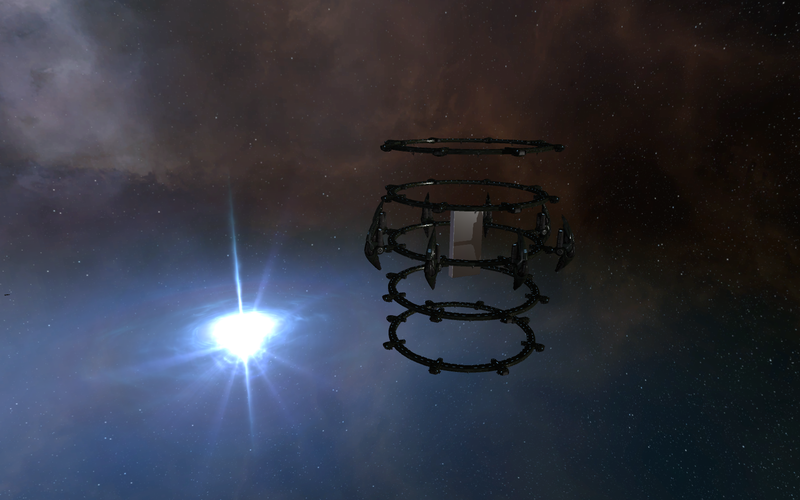 Why would the Drifters simply leave these presumably perfectly-good corpses in the heart of their space, rather than re-purpose them as they have capsuleer corpses? Is there something incompatible, given the Jove proclivity for genetic engineering? And Hikanta responds in kind. In the center of the Hive, surrounded by literally dozens of Sleeper structures and protected by one of the largest security systems ever implemented (when measured in terms of sheer distance traveled, at the very least), sits the goal of most expeditions into the complexes. A small beacon is protected by a third, until-now unmet Drifter: Hikanta Tyrannos. 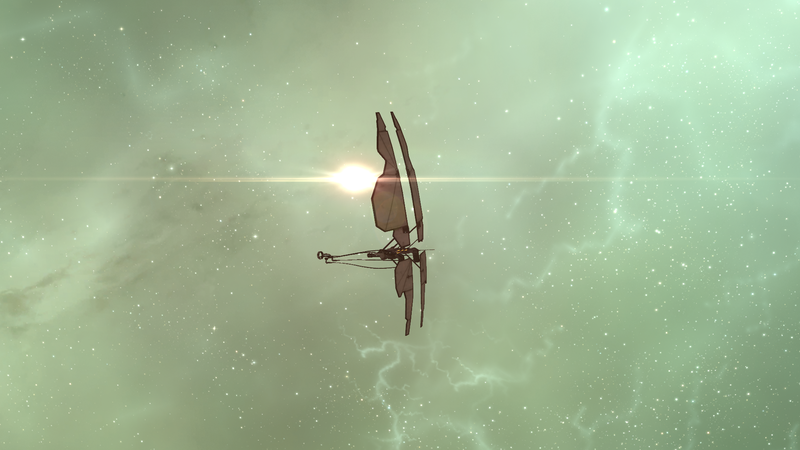 Like Apollo and Artemis before him, he flies a standard Drifter battleship, one that must be taken down if you hope to gain the fruits of the expedition. Unfortunately, given his powerful doomsday weapon, this means that at least one of your ships must be sacrificed, as he will invariably fire his doomsday weapon after his primary shield matrix is brought down, and it is highly unlikely a ship could survive a direct hit from that. Once Hikanta and the remaining Sleeper drones are cleared out, however, a ship can approach the central vault of that complex. When near, the pilot will need to deposit into the vault an Index specific to that complex (i.e. inputting a Conflux Index into the Conflux Vault). Unfortunately, these Indices can only be gained from the Hikanta Tyrannos wreck of a different complex (the Hikanta in the Barbican complex will drop a Conflux index, for example). Once the appropriate index is inserted, however, the Vault will unlock ten Elements. The Element you receive will differ depending on where the Element originated (similar to the above, a Conflux complex will yield a Conflux Element), but all five Elements seem generally similar. 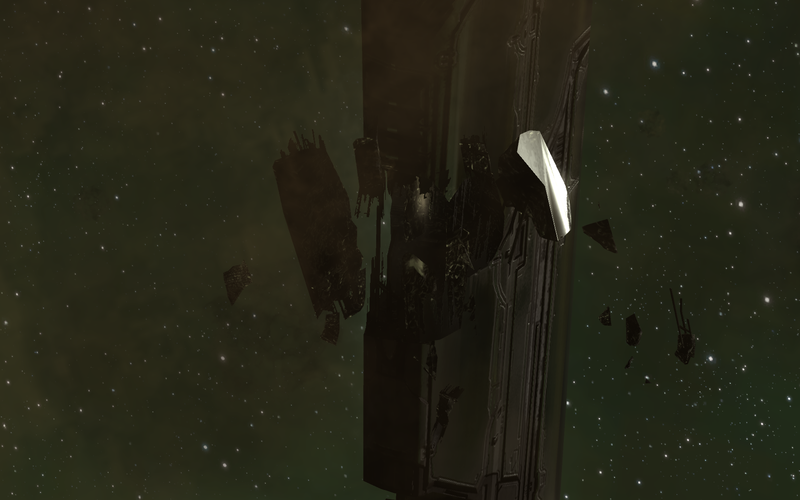 Even here, damage to Sleeper structures can be seen. The strange, unreal aspect of this object plays havoc with your mind. The distortion is interfering with signal reception and hindering decryption. Despite this, one strong, repetitive motif is breaking through the chaos. A single repeating concept. A view of the inner rim of the Hive. While the Antikythera elements discovered in the Jove observatories eventually yielded the now ubiquitous entosis links, it is not yet clear what these new elements do or what they can be used for. Indeed, it was hoped that some revelation would come simply by collecting all five types of Elements in one place, but thus far, despite [IKAME]’s possession of all five Element types, no initial breakthroughs have yet been forthcoming. Still, plenty of experiments remain to figure out just what these elements are to be used for. Theories are rampant, of course, but my personal theory is that all five elements are to be combined into a key of some kind to unlock a final, sixth Drifter/Sleeper system which may very well be their home system. But that’s just me. After an exhausting twelve hour day, I finally found myself on my way home from Drifter space. While the Conflux complex was completed with little incident, the Vidette complex proved more challenging, with almost all ships in the fleet (including my beloved Scientia) being destroyed by Drifter fire. Indeed, the fact that we easily survived one complex while getting utterly destroyed by the second demonstrates both the survivability and the risk of completing these sites. That being said, I was delighted that I had tagged along. Not only were the views themselves gorgeous (and if nothing else, the views alone were well worth the travels in my opinion), as demonstrated throughout this entry, but the complexes give important clues to the relationship between the Drifters and the Sleepers, while of course, raising even more questions (questions I got to ponder while waiting to travel during my long, long, long trip home, I might add). Waiting, as they say, is the hardest part, and heavens know I’ve done my fair share of waiting. Waiting until my schedule allowed me to participate in one of these operations. Waiting to find an entrance to the appropriate complex. Waiting for the Drifters to move through the particular area of the complex we got stuck in. Waiting even now for the answers that I have to trust are coming someday. Waiting may be the hardest part, but patience is a virtue. Instant gratification in all respects would soon get boring without the anticipation of life and things to come. The Sleepers and the Drifters have also waited a long time, perhaps thousands of years if some theories are to be believed, and they finally seem to be acting on whatever it is they’ve been waiting for. 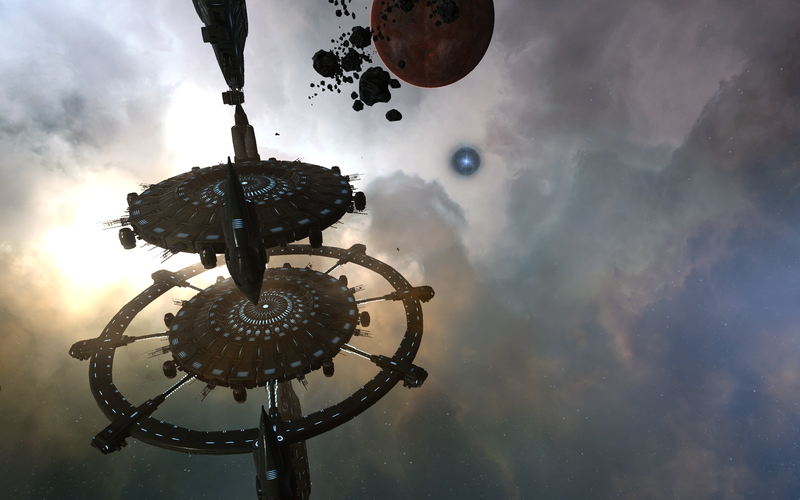 Like the rest of New Eden, for now I can only watch to see what these civilizations, capability of building such marvelous things, have in store for us. Watch… and wait. Potential Hazards: As stressed throughout this entry, dangers are significant. 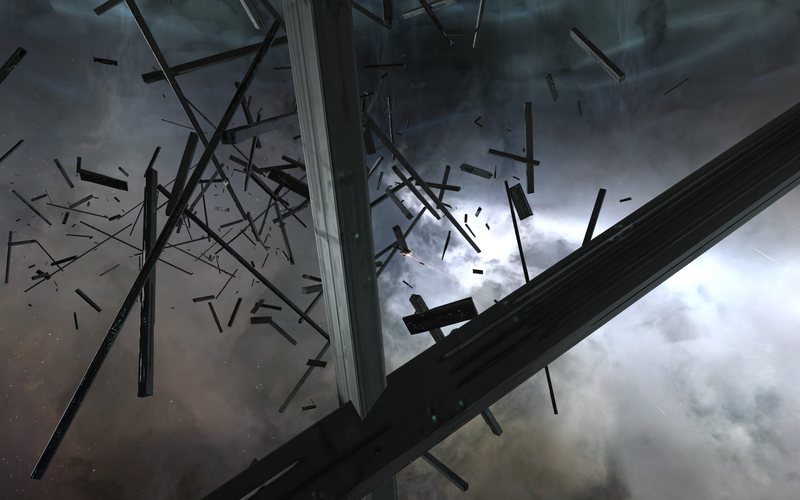 Beyond the normal dangers of wormhole space (including other pilots), Drifters and Sleepers can be found throughout the site. 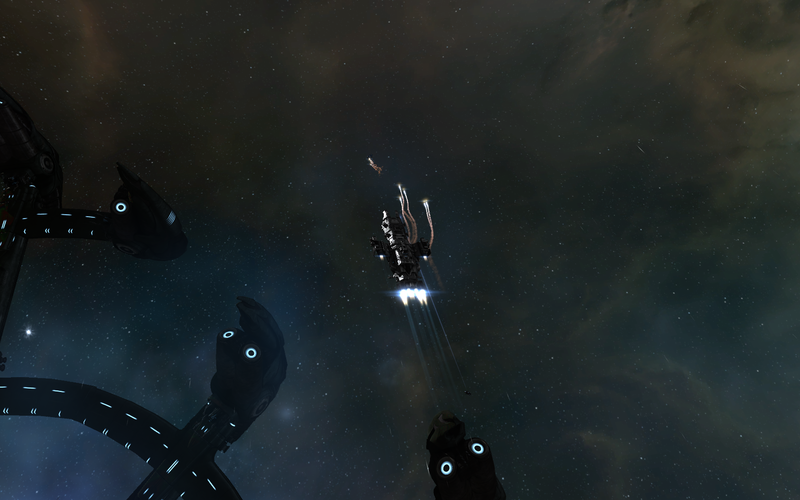 Drifters can doomsday almost all subcapital ships in one shot once their primary shields are brought down. You will need at least one other person to accompany (preferably a small fleet), and that fleet will have to split up in order to successfully reach the hive. Drifters will change the rooms they are stationed in throughout a complex approximately every half-hour. Data analyzers are required to hack the gates. Strong, cloak-equipped ships are strongly advised. The Jove Observatories are now damaged. (Editor’s Note: For previous entries on the Jove Observatories, please see here and here). A persistent beeping brought me to consciousness. For a moment – just a moment – I had forgotten not only where I was but who I was. 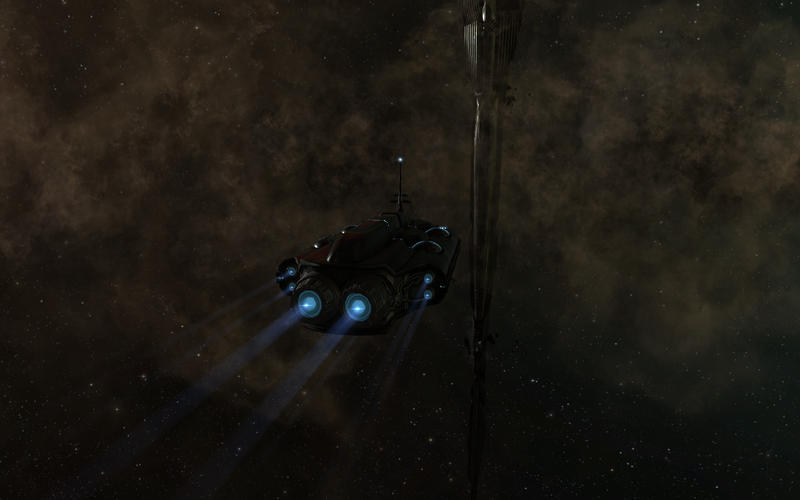 For that brief moment of awareness, I forgot about flying through the stars with only myself and my ship. I had forgotten that I was an immortal human, a paradoxical statement until even a few decades ago. I had forgotten not only the wars and the death that ground on throughout the Cluster, but also the beauty and mystery found throughout it. And then that moment passed, and it all came rushing back to me. A close-up view of one of the breaches. A flash of lightning can be seen in the Structure’s depths. The beeping, of course, was a rather insistent series of communiques, both from fellow pilots and Aura, telling me that I needed to get into my ship yesterday. The Drifters and Circadian Seekers had made their move, and it wasn’t in the direction I was expecting. CONCORD’s analysis has revealed only scant and confusing information about this structure. Surveys of the damaged areas of the structure reveal a series of clearly powerful but functionally mysterious elements. The structure is undoubtedly Jove in origin but it is hard to determine its exact age given the advanced nature of the materials and construction. Regardless of its age, it is safe to say the structure surpasses anything we have previously seen. As I came out of warp, the observatories loomed in the distance. 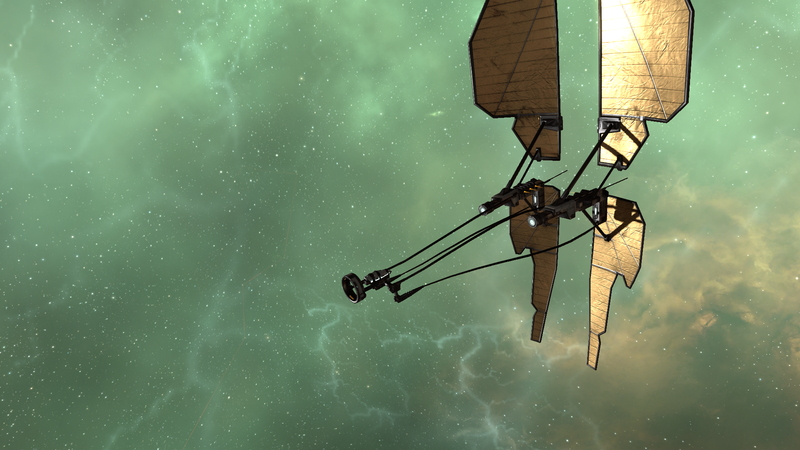 Even this far out, my poor Buzzard-class frigate felt minuscule next to such a hulking structure. I enjoyed the sight of the massive yet still graceful structure before I actually figure out what had everyone up in arms. While the overall superstructure appeared intact, the observatories had three clear breaches of the hull, with each breach surrounded by slowly a expanding cloud of debris. Immediately, I needed to know what caused the breach. I knew it wasn’t capsuleer in origin, though that certainly wasn’t for lack of trying. Numerous attempts, both by myself and others, could not even dent the resilient alloys used by the Jove in construction of the observatories. 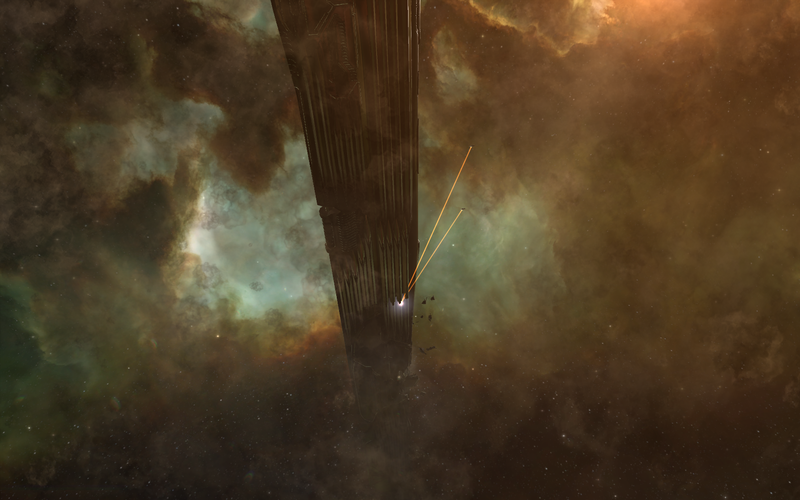 The Seeker fires a cutting beam into the Observatory. I examined the breaches closely, looking for any clues as to why they were there. 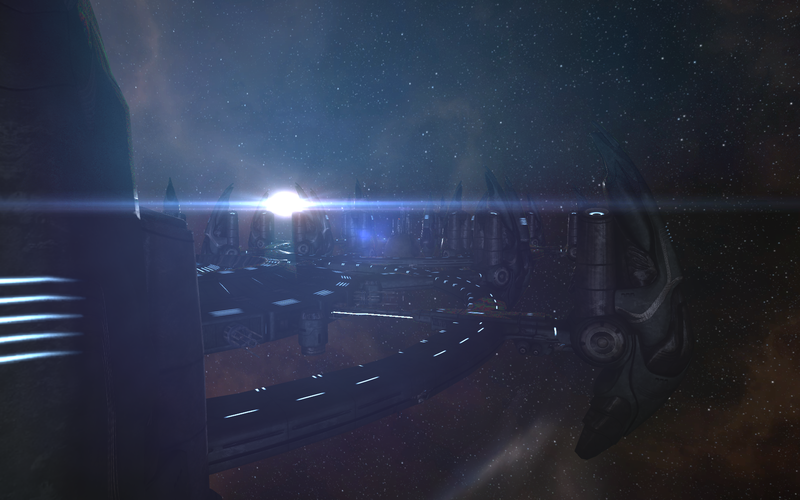 The breaches did not appear intended to destroy the overall observatory: instead, they appeared to be surgical strikes towards targeted area of the structures. Precisely what was being targeted in the observatory was a mystery, of course, since our own scans couldn’t even penetrate the surface. Even with the breaches, my sensors weren’t able to make heads or tails of what, if anything, was viewable in the interior. But even without knowing what the attackers were after, it was clear that the assaults targeted three areas in the observatories. The biggest breach could be found near the middle of the superstructure. The breach was near what appeared to be some vents in the observatory, and the damage is severe enough that lightning can be seen arcing through the interior of the observatory at various intervals, their bright sparks lighting up the insides for the briefest of moments. 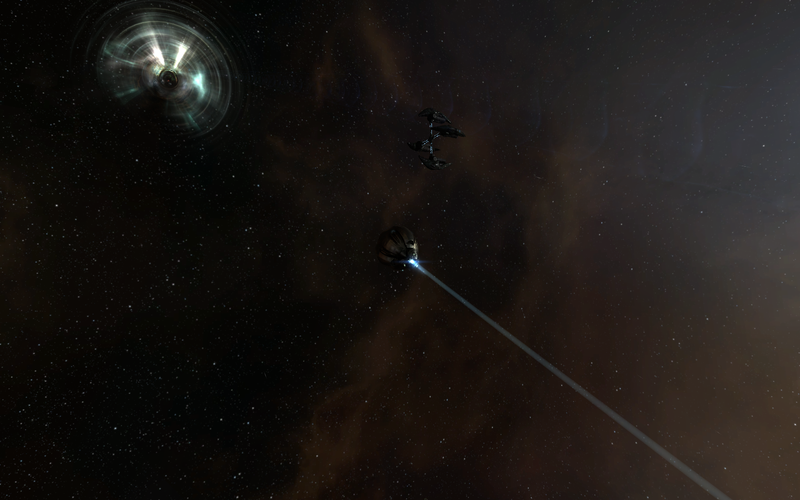 The Seeker activates a second beam, possibly a tractor. Although I assumed that the Seekers and Drifters were behind these attacks (who else could have done this kind of targeted damage?) I waited for confirmation for a few days. 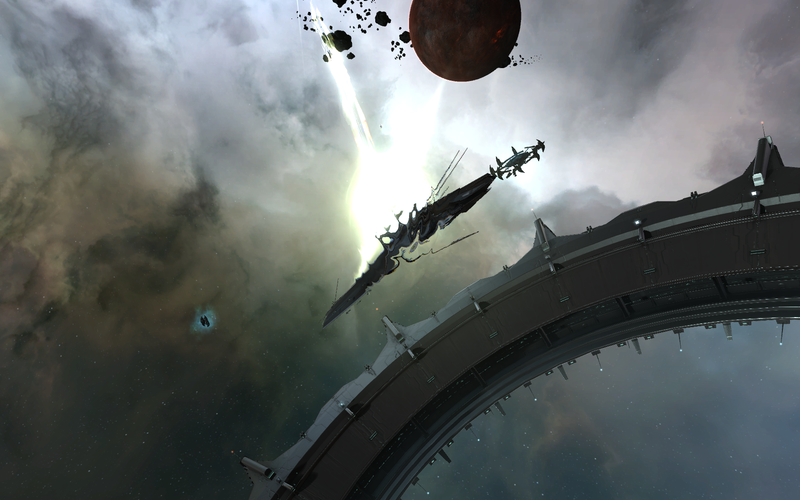 Eventually, while camped out at the observatory in Iyen-Oursta, I finally saw some Circadian Seekers assault the Jove structure. It was a long-running affair, as the Seekers came out of warp near the beacon to the site, and then slow-boated the 150+ kilometers to the structure itself. Once a few kilometers from the structures, rather than using the gentle blue scan beams I had become accustomed to seeing from the Seekers, they lashed out with a brilliant orange cutting beam towards the various areas that had already been breached. After attacking the structure further, they activated a narrow white beam on the area. Limited information is available on this object. A direct analysis reveals some vague and distorted results. 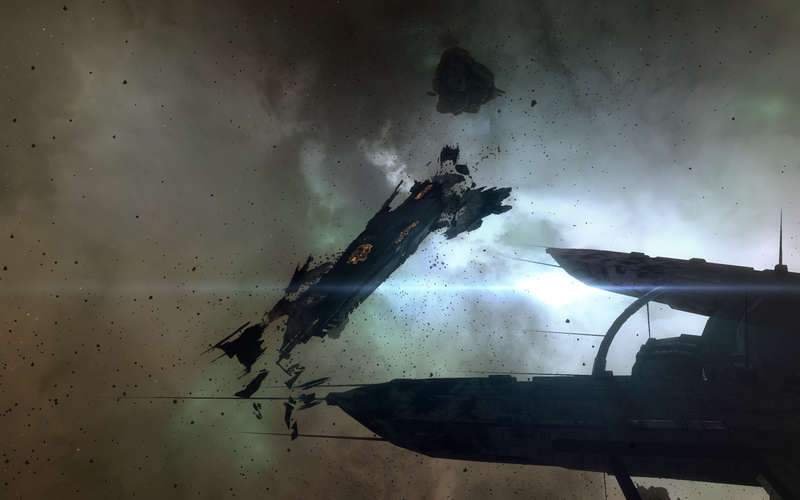 Slight external damage signals that it was detached from something else, but despite its removal, the core structure continues to thrum with a deep, surging power. Even without proof or solid knowledge of the function of this component, it is quite clear that it forms a vital part of something much larger. Two Seekers focus on one area of the structure. I could immediately imagine a few reasons why the Seekers would only focus on the element and not the larger machine, but each hypothesis raises its own questions. More important, in my mind at least, is whether the Jove observatories and these Antikythera elements are what the Seekers were sent out to, well, seek. That they’re hunting them down now is obvious, but is it what they were designed to do? It’s also clear that the Seekers’ threat response protocols have been repeatedly increased in recent months. 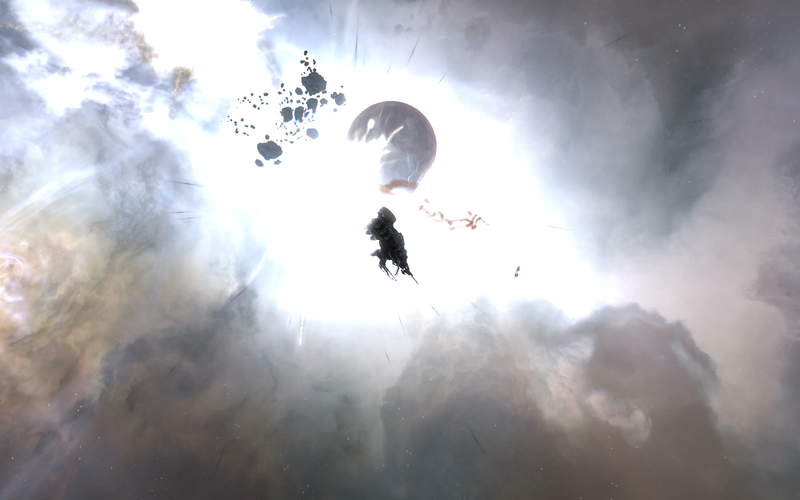 Seekers, along with their Drifter brethren, have become more and more aggressive, and the most recent reports state that they’ve even begun attacking capsuleers with no provocation. Such a change in behavior is troubling indeed, and I can’t help but wonder if the Drifters have somehow assumed control of the Seekers. Exactly what the Seekers are after is unknown but probably related to the Antikythera elements. I was shaken out of my reverie as the Seekers finished their excavation and warped on to their next target. I quickly managed to get my hands on my own Antikythera element. I’m not sure what good it’ll be, but I felt better knowing that I had my own copy of the mysterious device. It also felt more than a little awe-inspiring to have a piece of actual Jove tech sitting in my hanger, and not something that’s been dumbed down for the rest of the Cluster. I may have no idea what it does, but it’s my own piece of history, sitting in my own hanger. As I settled back down in my bunk to get back to sleep, I wondered what stories it had to tell. Potential Hazards: Both Circadian Seekers and Drifter battleships will attack if you are uncloaked at the Observatories (or in other places in system). Seeker offensive strength has risen. Caution is advised.